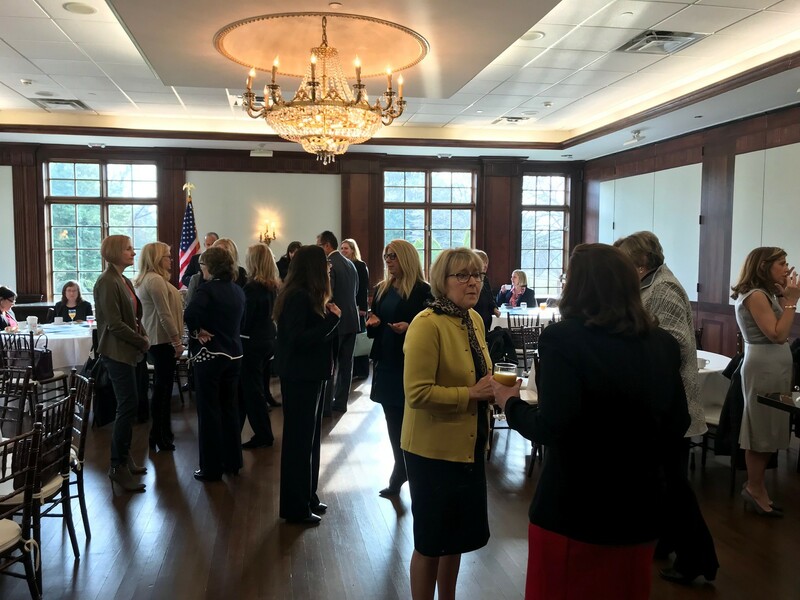 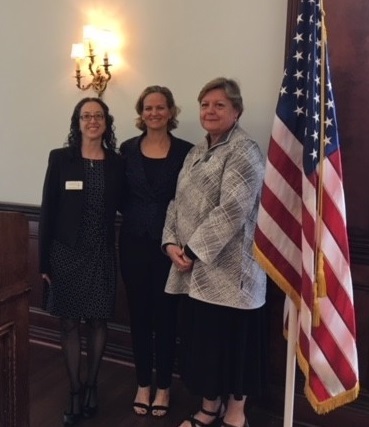 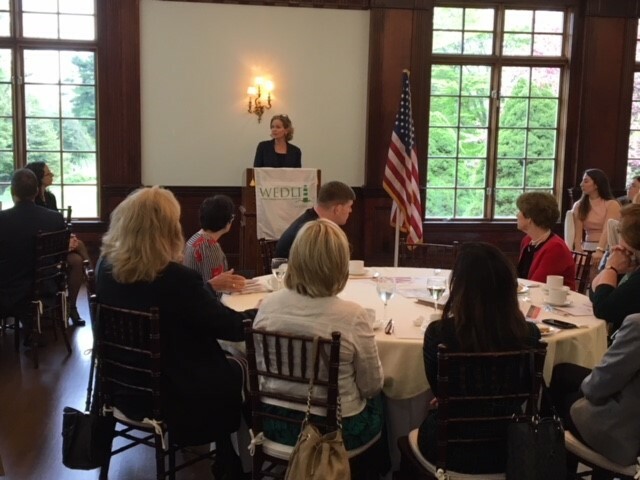 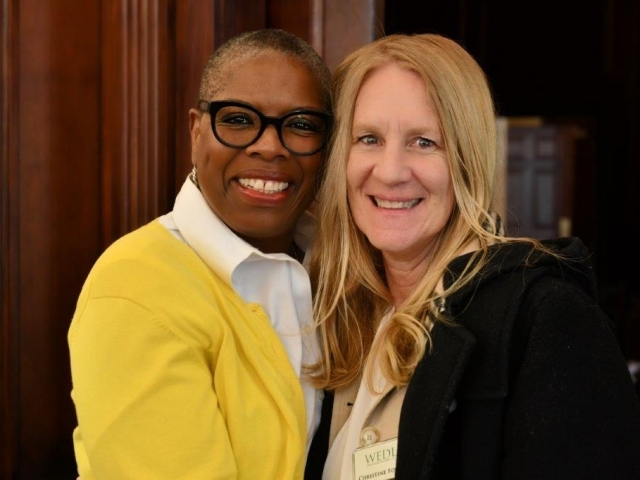 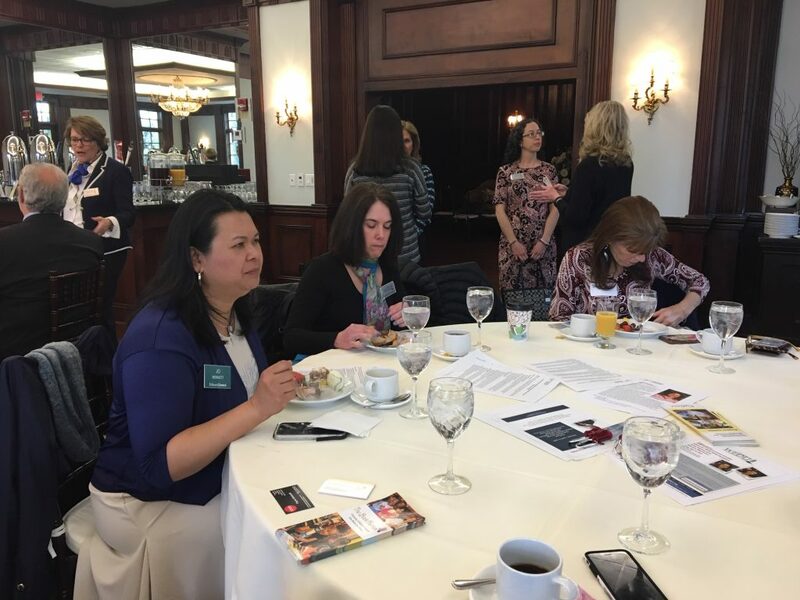 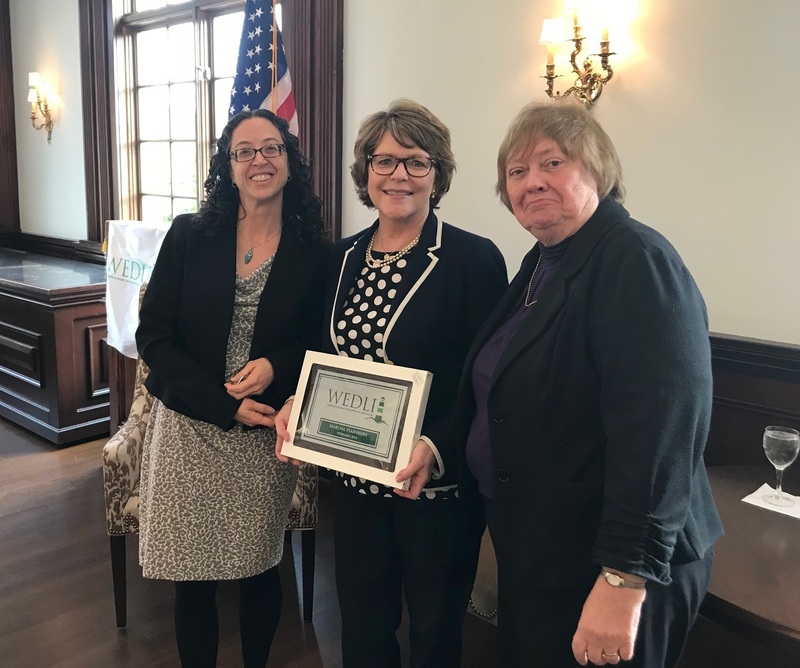 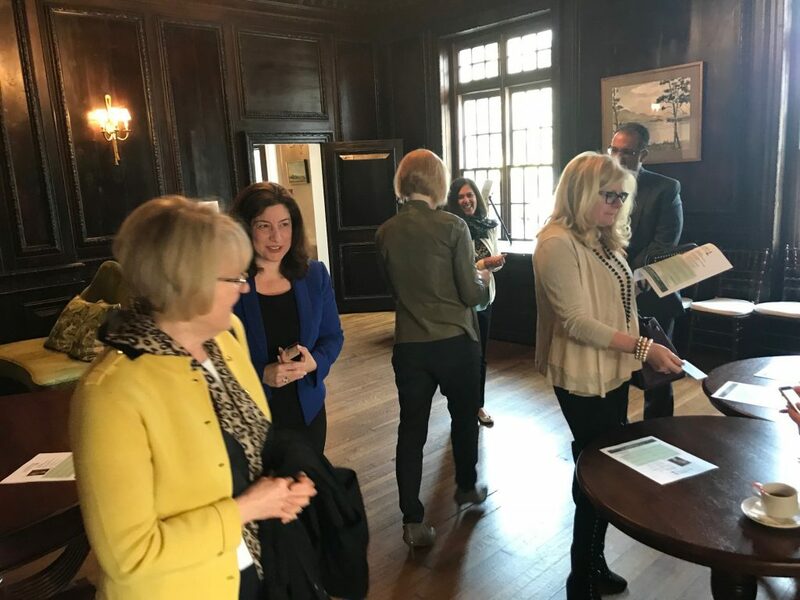 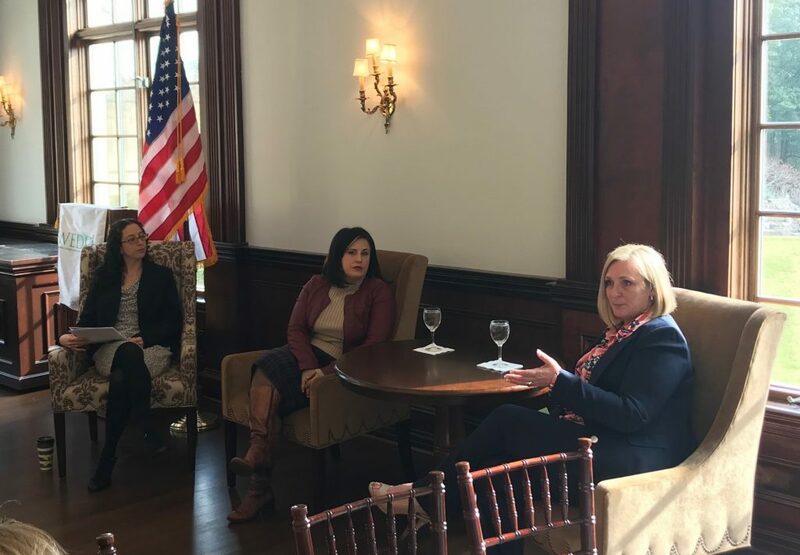 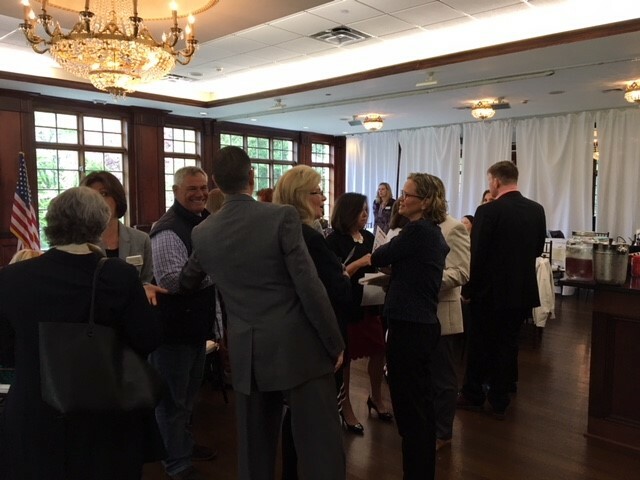 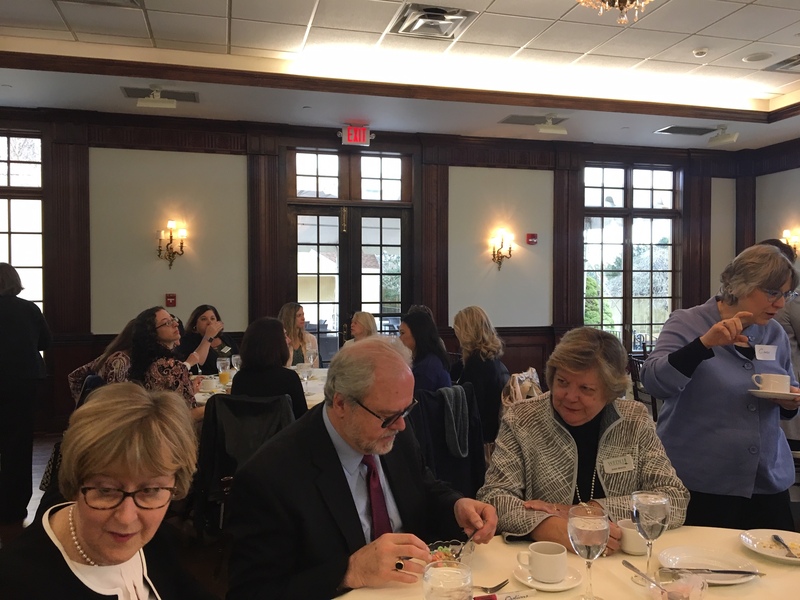 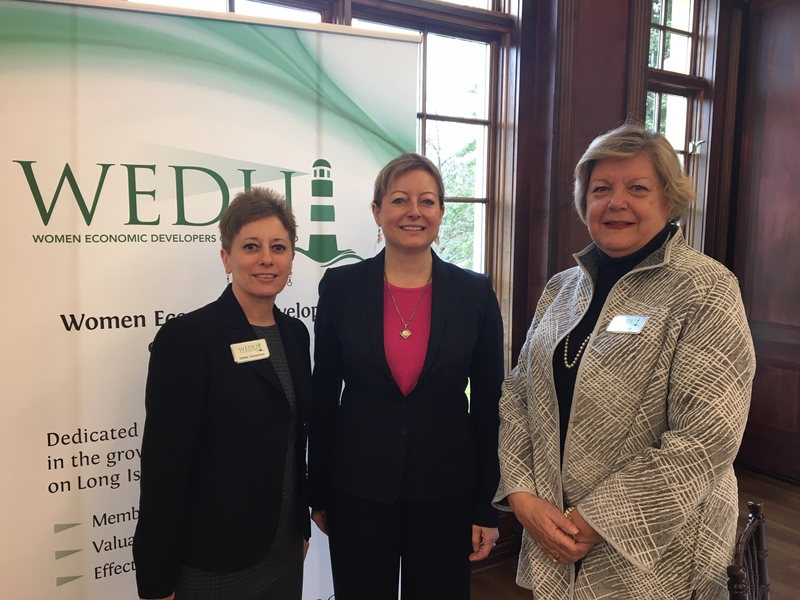 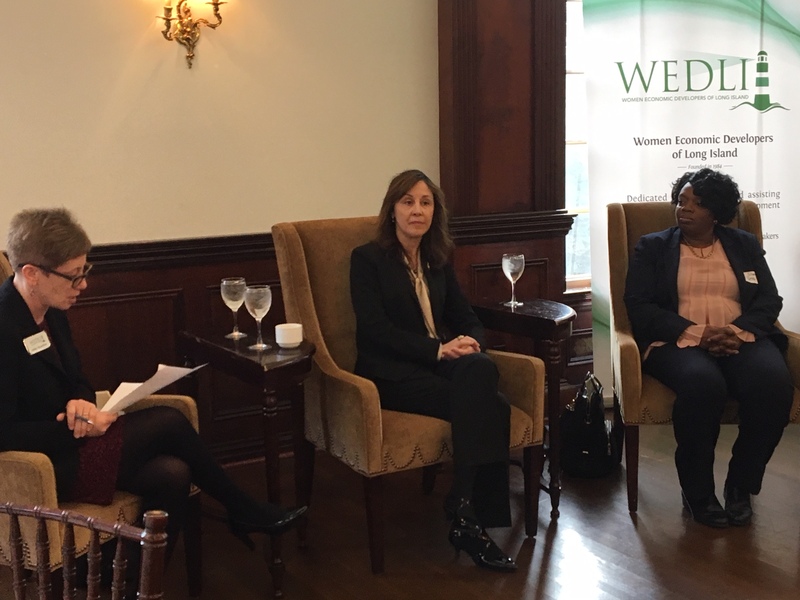 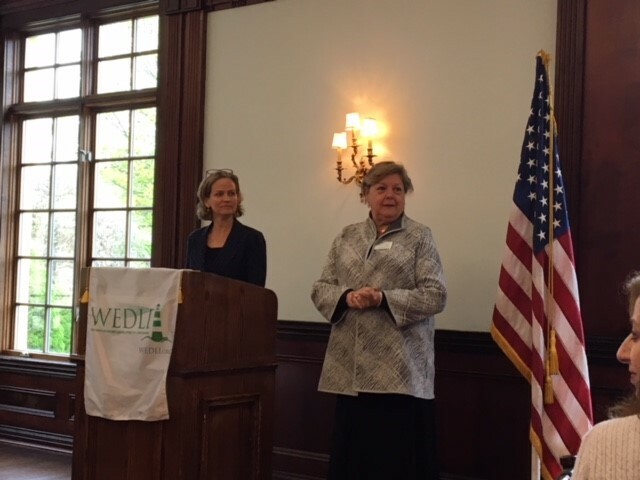 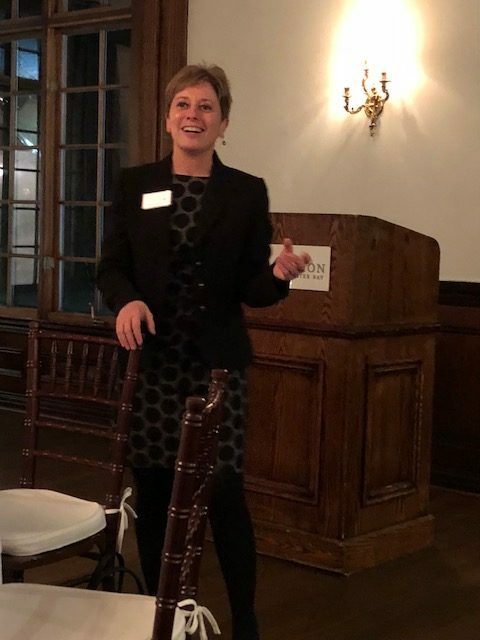 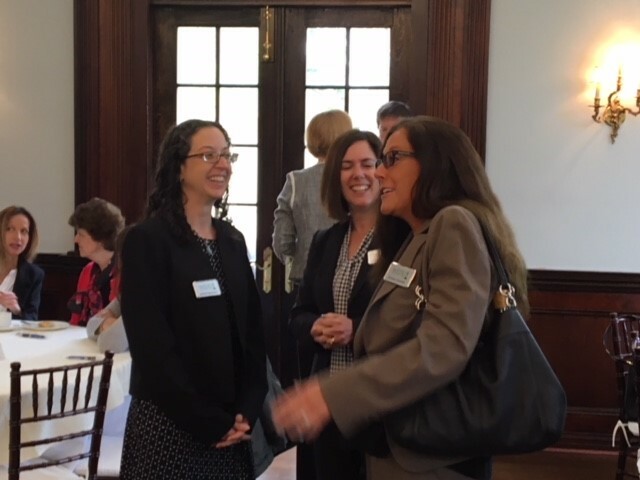 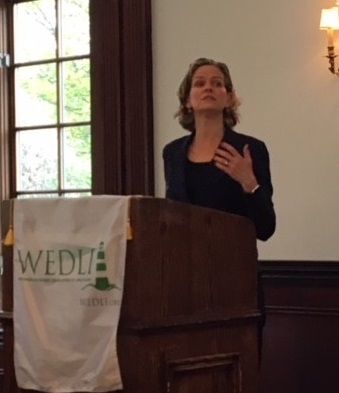 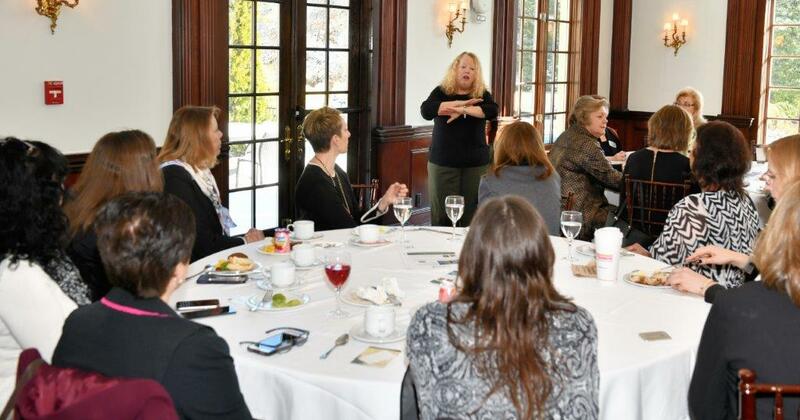 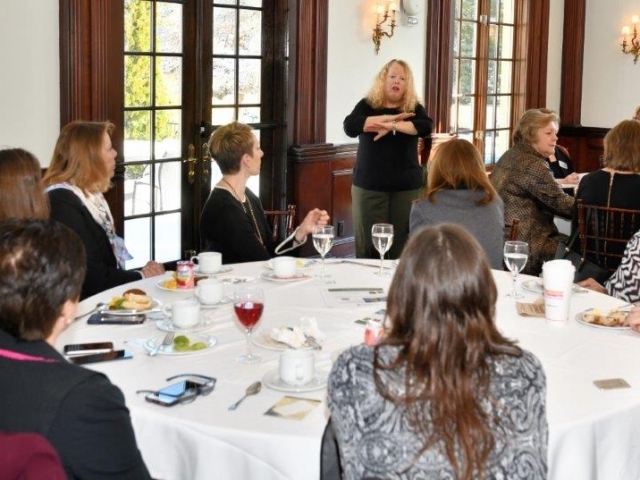 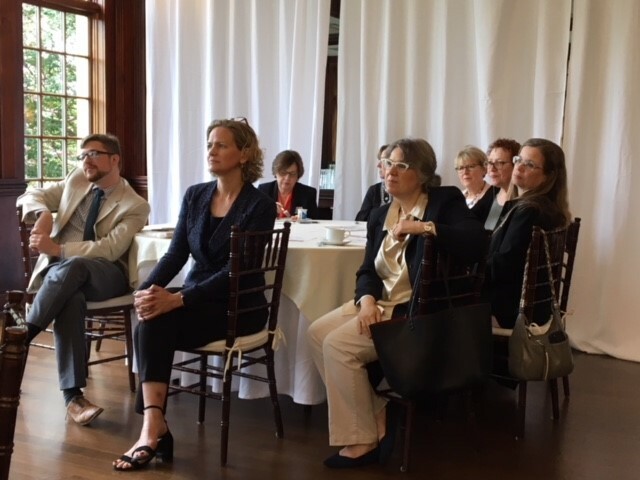 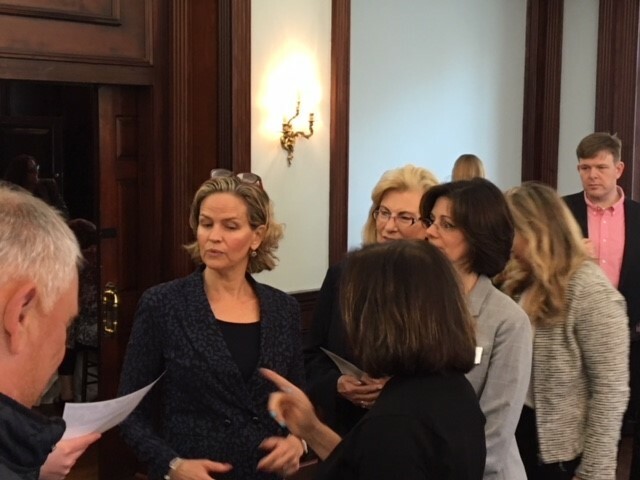 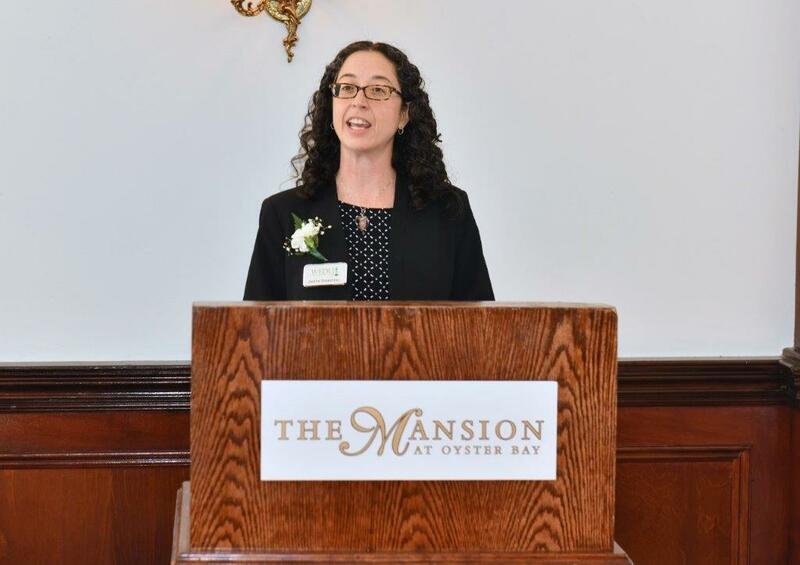 In advance of Earth Day and in the first days of Spring, WEDLI hosted a discussion about environmental conservation on Long Island with our speaker, Carrie Meek Gallagher, the Regional Director for the New York State Department of Environmental Conservation (DEC). 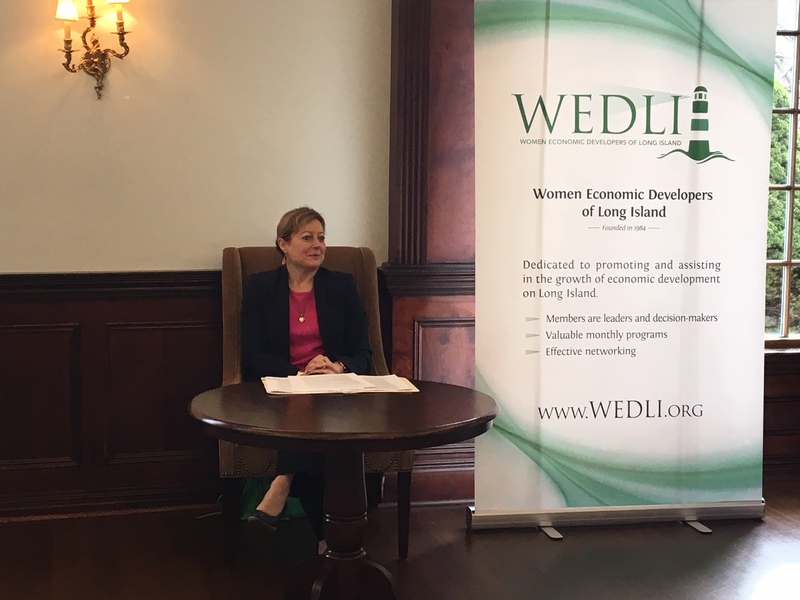 Carrie covered a wide range of issues, including safe drinking water, garbage recycling, and environmental sustainability on Long Island. 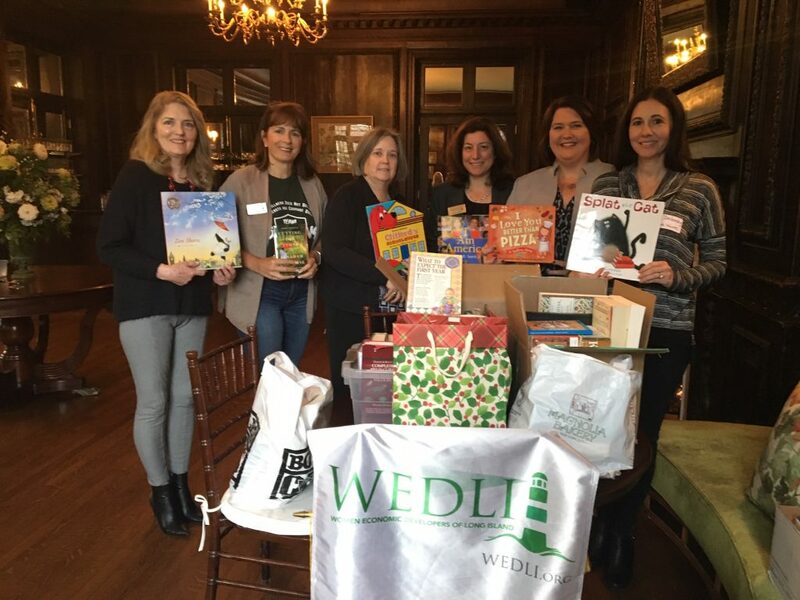 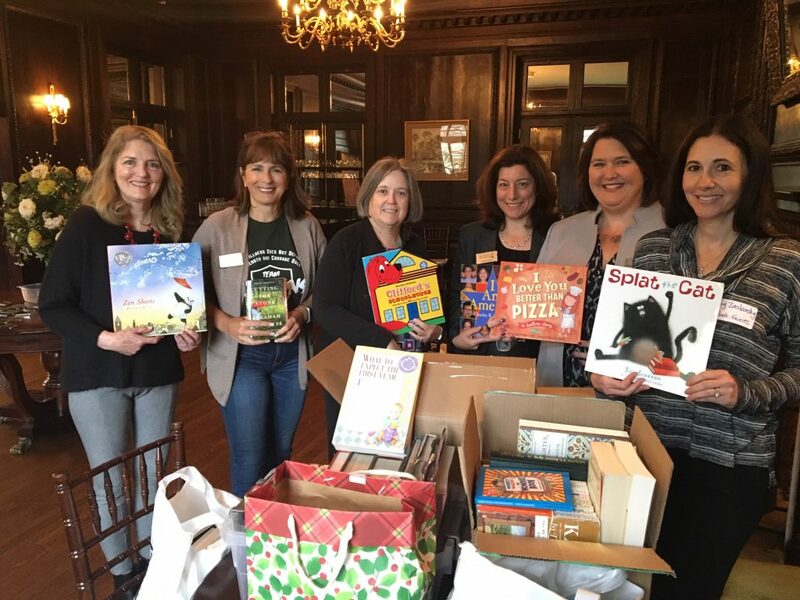 Thanks to all those who donated to our book drive, to support The Book Fairies! 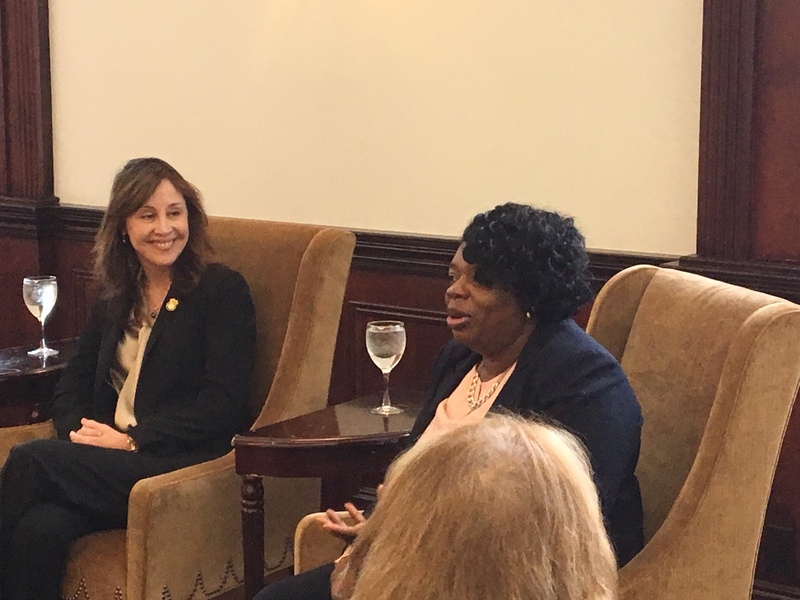 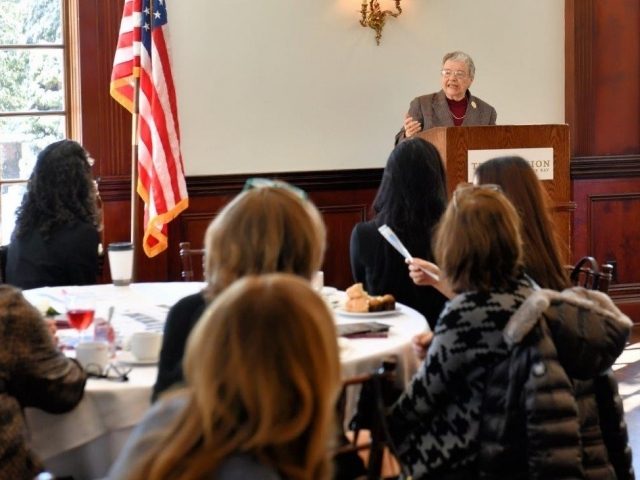 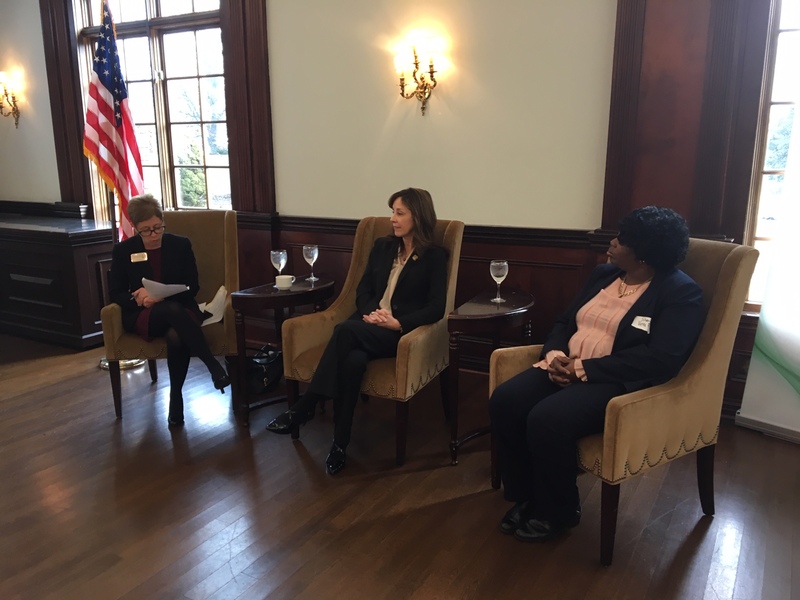 During Women’s History Month, we welcomed two female trailblazers in Long Island’s law enforcement community — Nassau County Sheriff Vera Fludd (the first woman in the position) and Geraldine Hart (Suffolk County’s first female police commissioner). 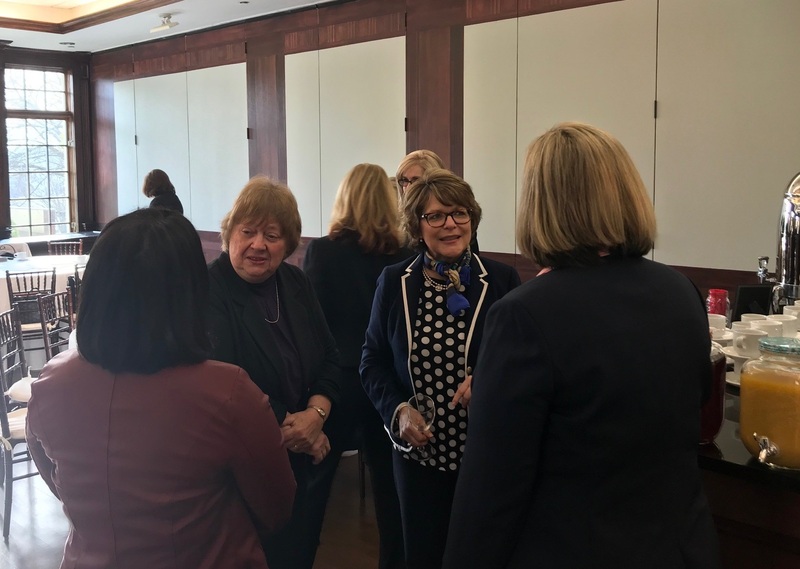 It was fascinating to learn about their career journeys, personal experiences, and leadership strategies that led them to achieve these historic firsts. 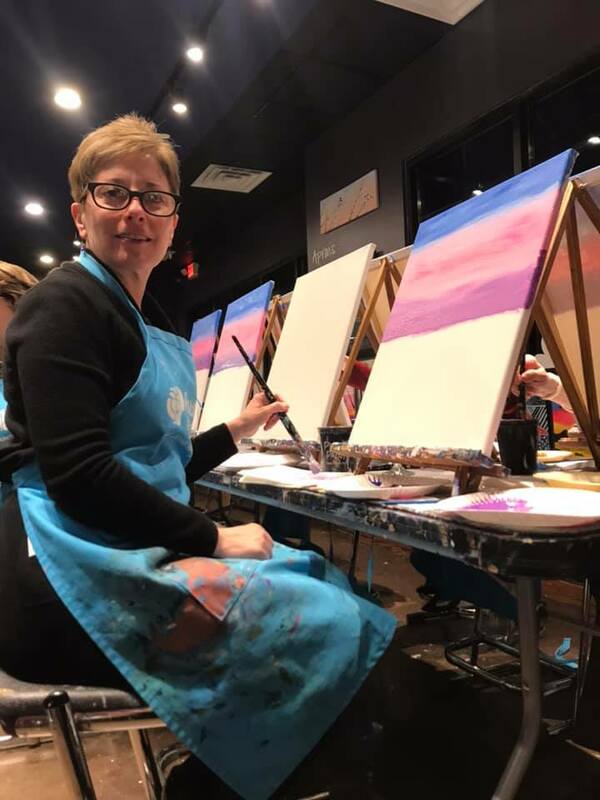 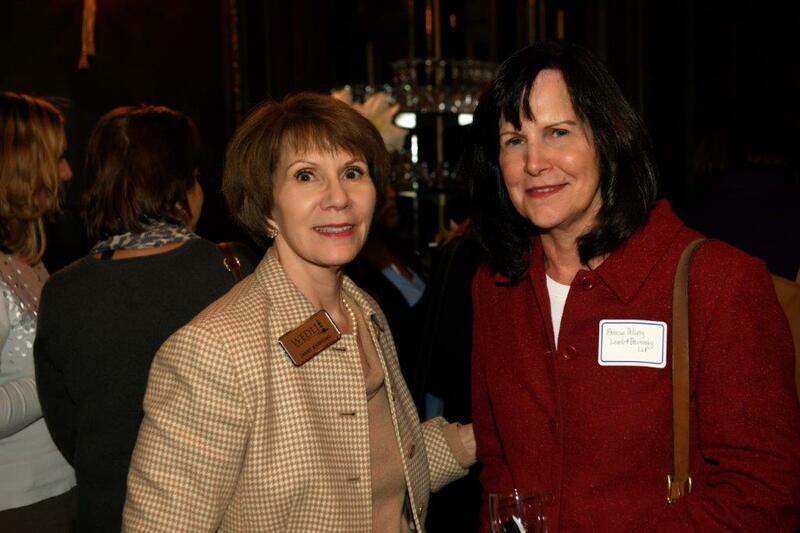 Thanks to our fabulous sponsor: Karen Dowd. 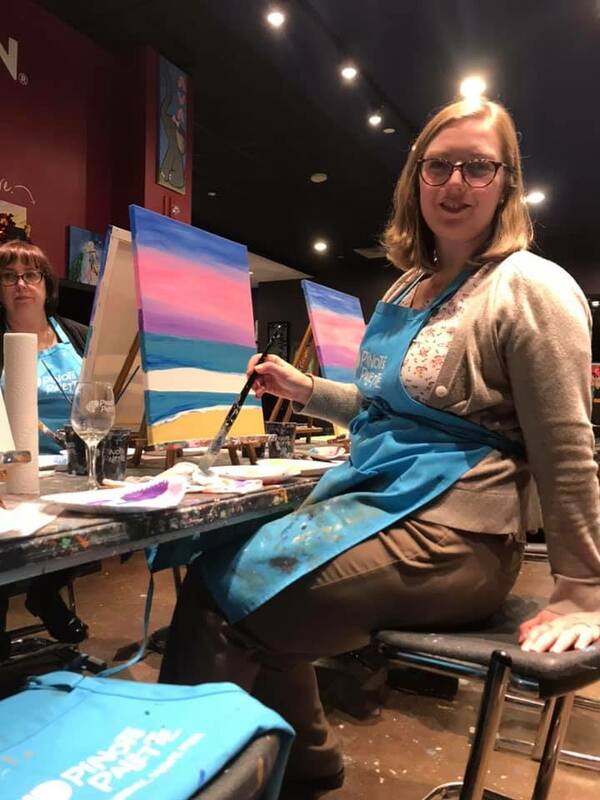 Esq. 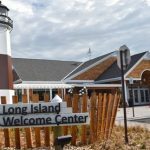 Long Island as a world-class destination. 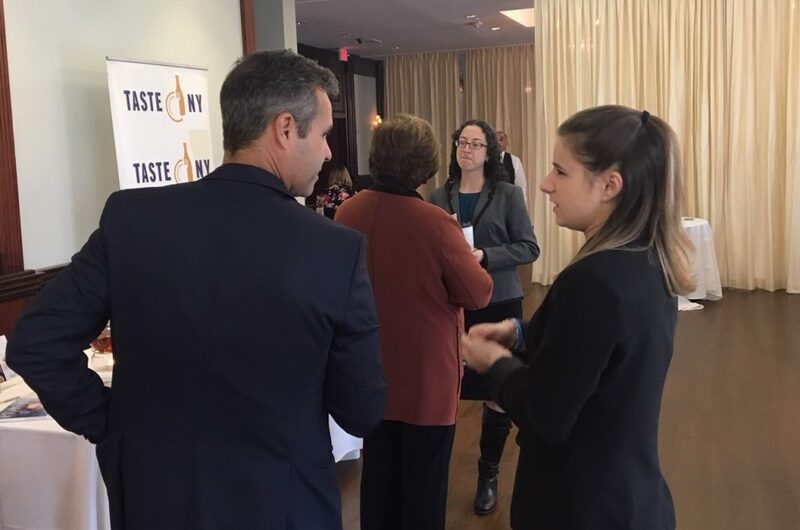 This month representatives from Taste NY discussed New York State’s official “eat local, drink local” program, the creation of new opportunities for food and beverage producers through events, retail locations, and partnerships, the process of creating the new Welcome Center on the LIE, and more. 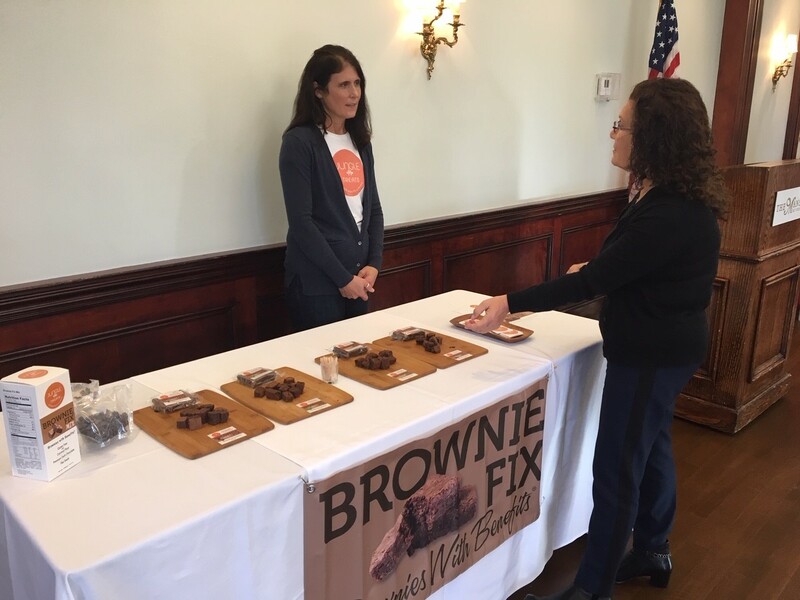 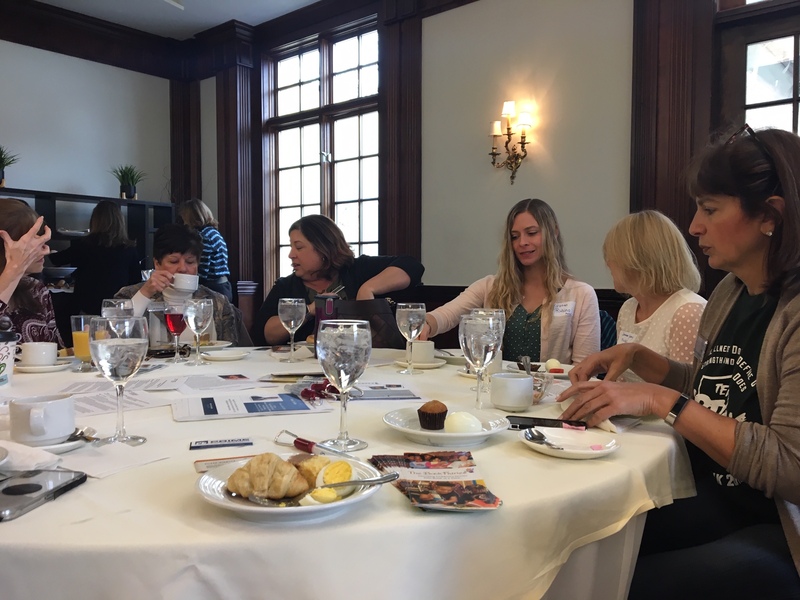 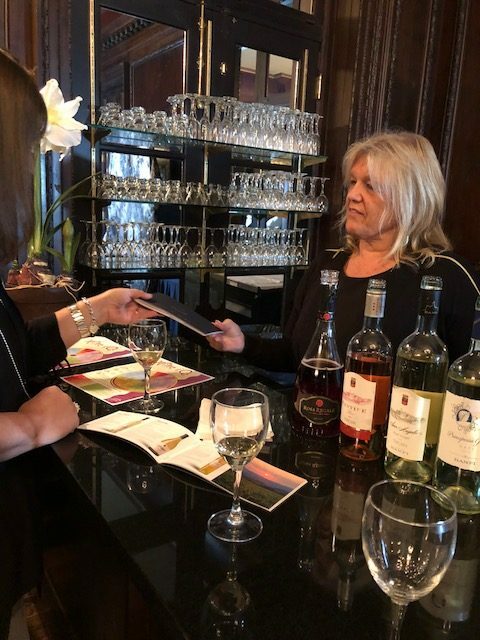 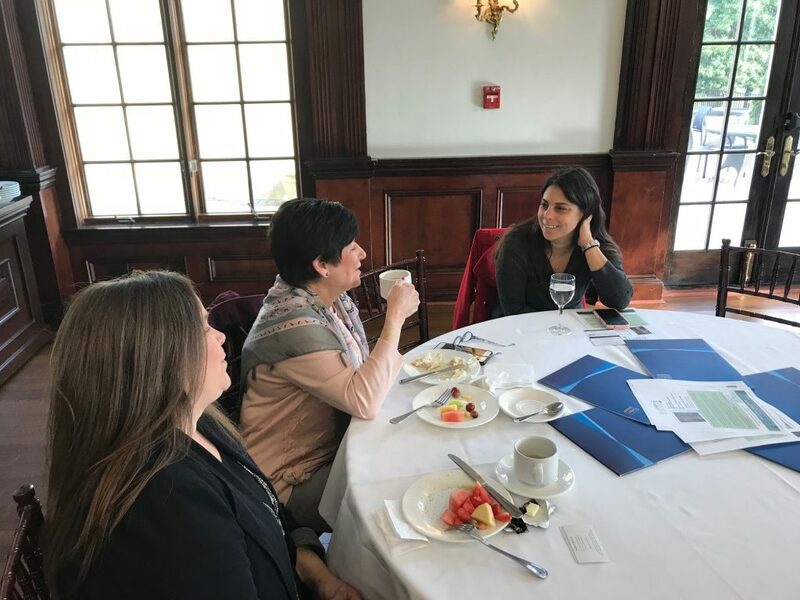 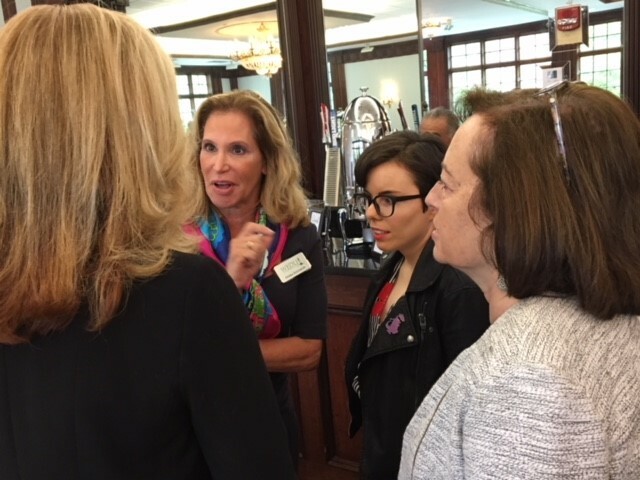 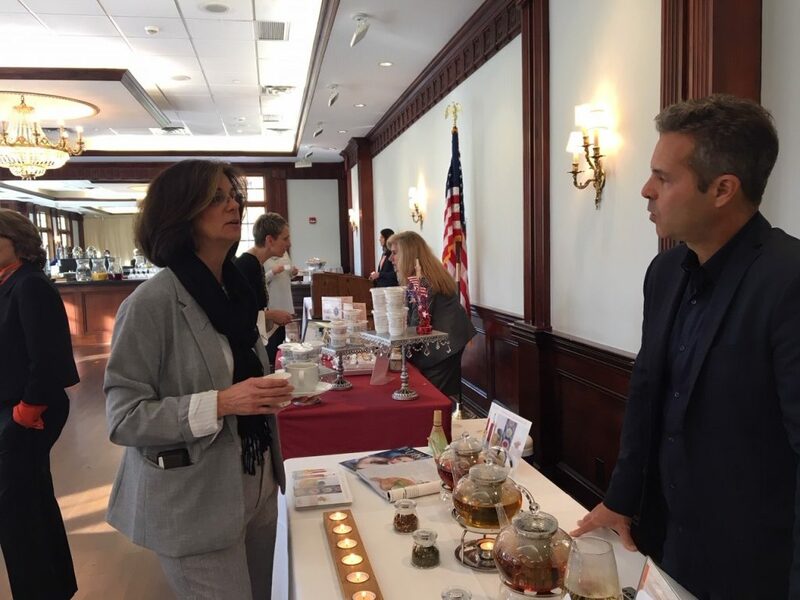 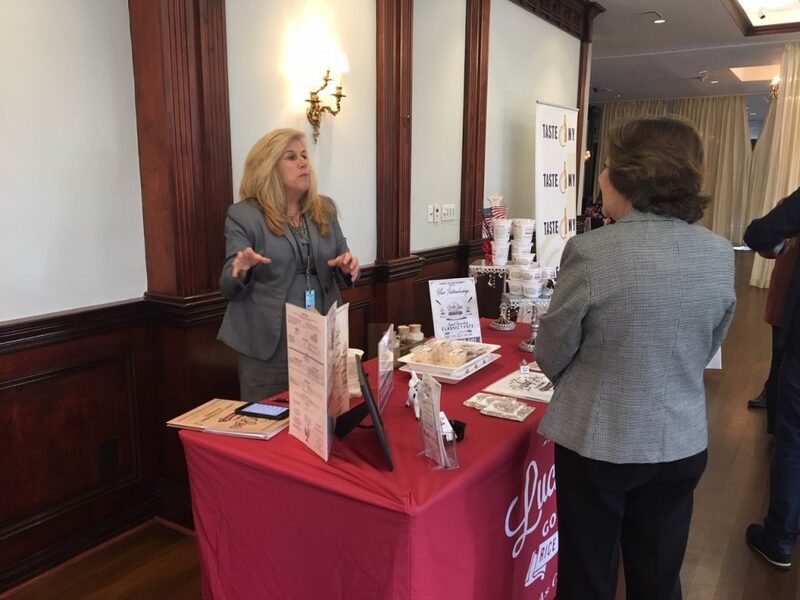 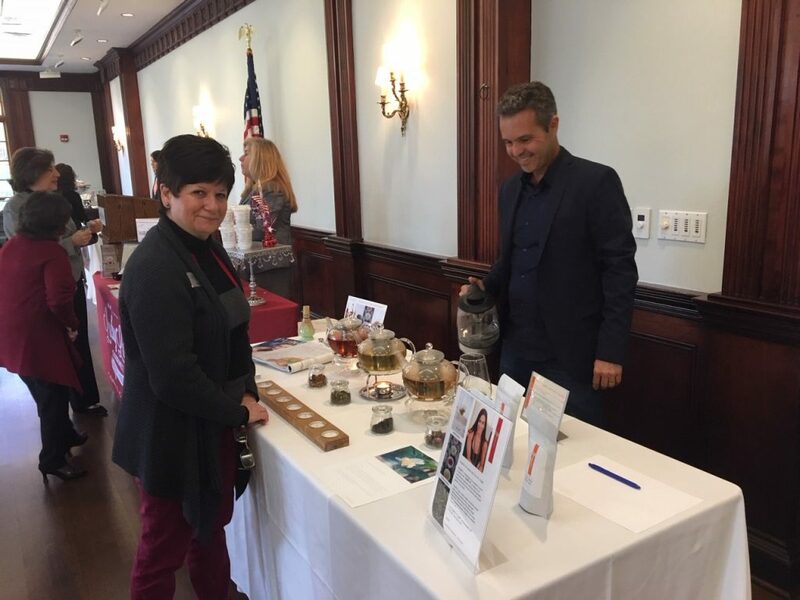 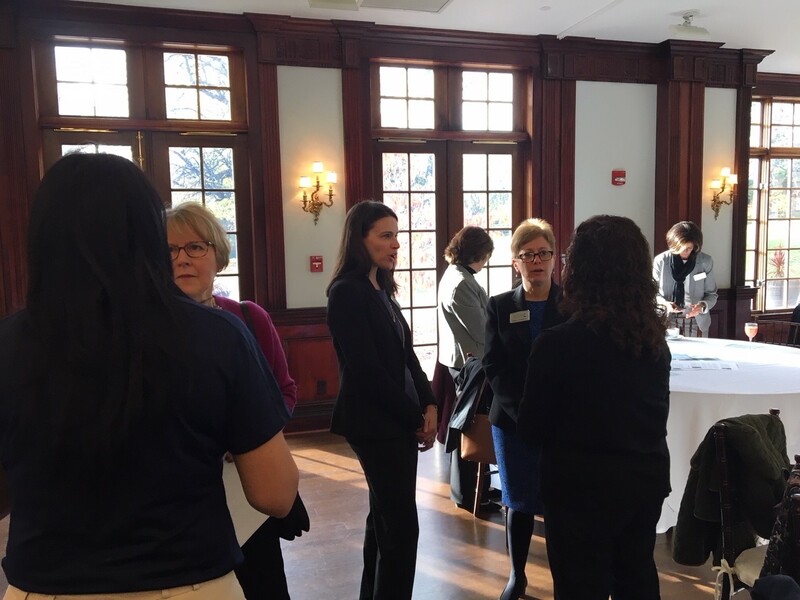 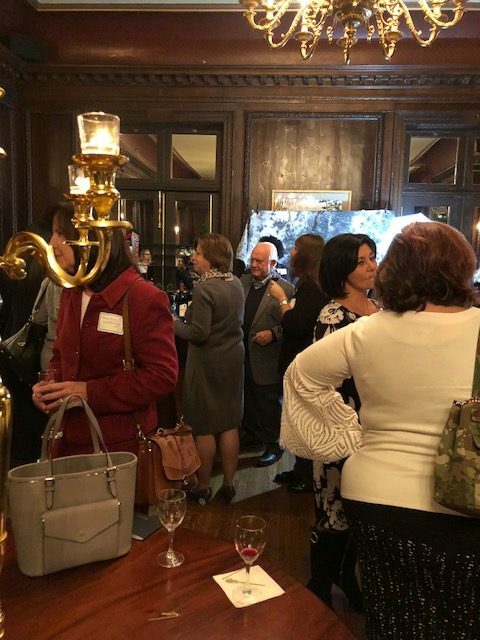 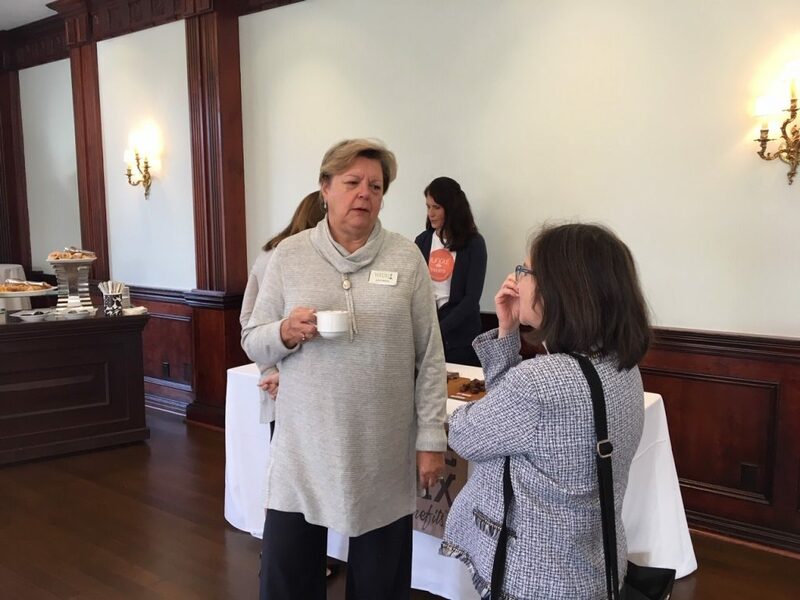 Our guests were Claudia Barbey and Angelica Pulvirenti of Taste NY, along with several local food vendors, who provided samples to guests and discussed how they established their businesses. 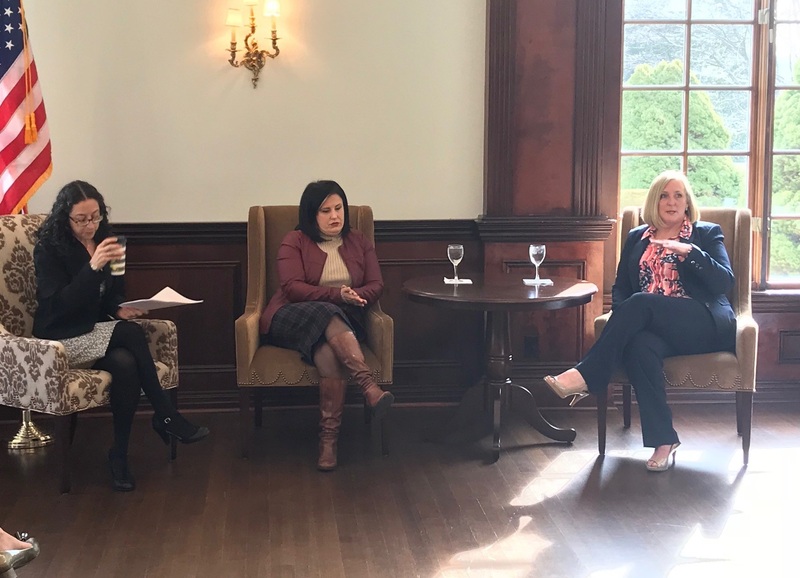 Joining us were Maria Camassa from Lucky Lou’s Gourmet Rice Pudding, Alex Teixteira from Plain T, Tish McCrea from Jungle Treats, and Mary Callanan from Three Castle Gardens. 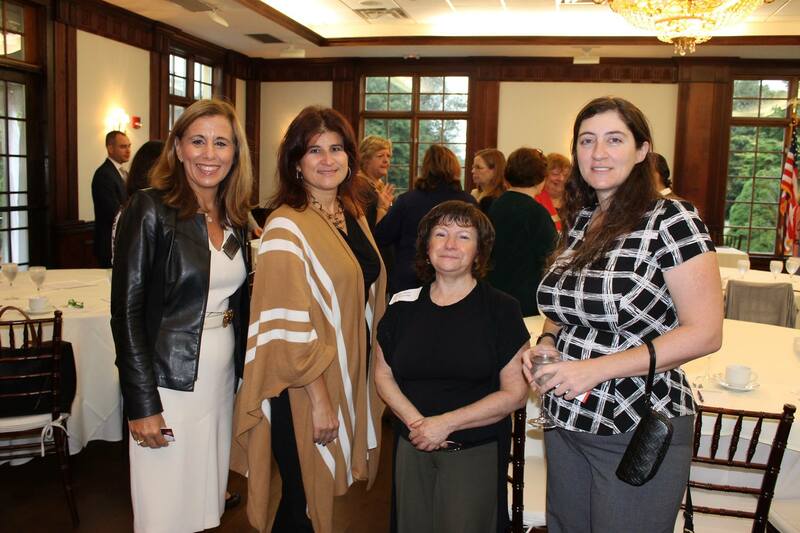 Thanks to our fabulous sponsor: H2M Architects + Engineers! 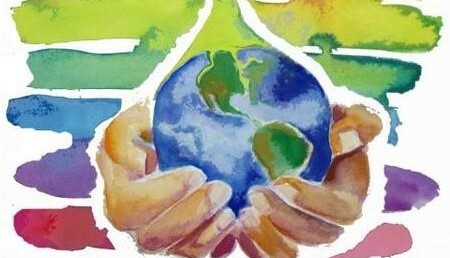 And thanks to all those who donated to our food drive this month, for Island Harvest. 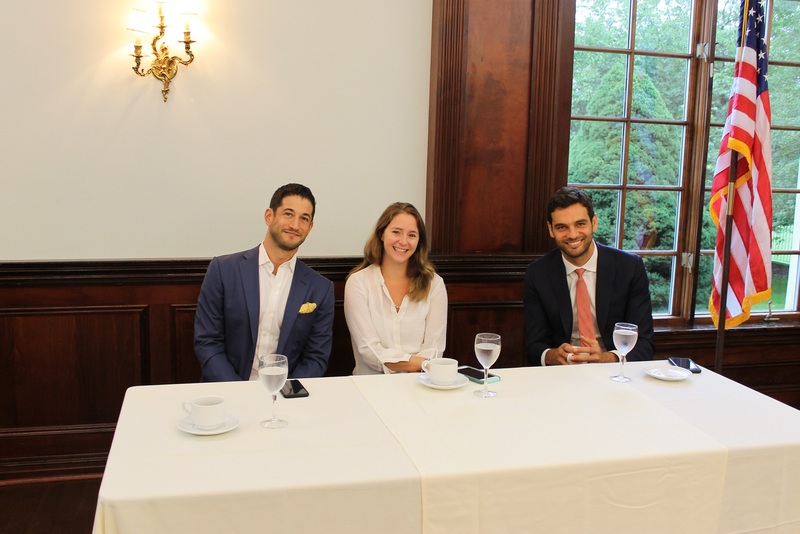 NextGen Developers: Who are the Next Generation of Long Island Developers? 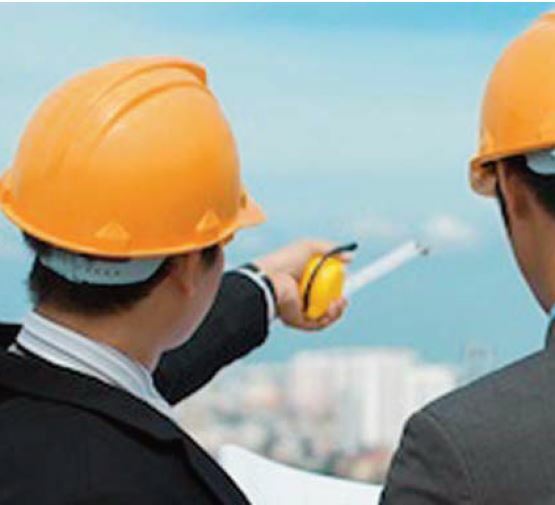 Construction and real estate are among the foundations of Long Island’s economy. 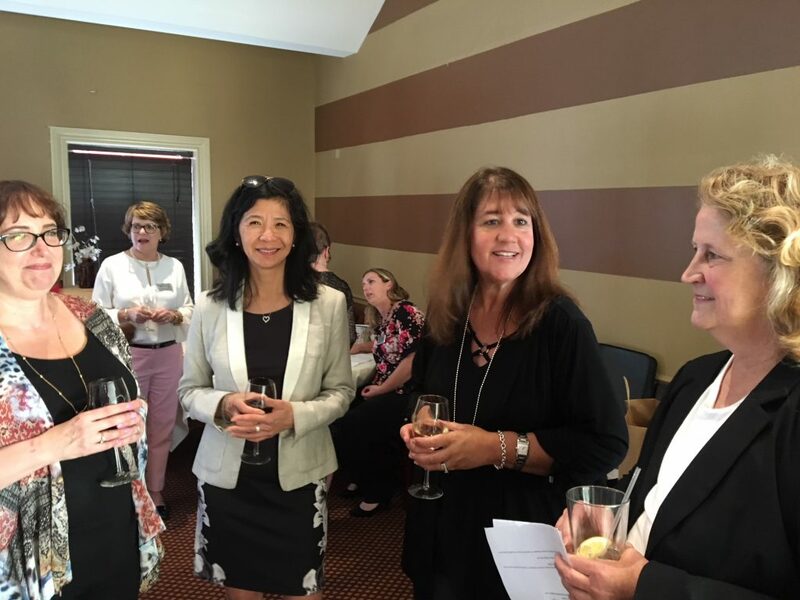 Like other industries, when the older, established executives retire, who will take over? 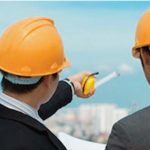 Enter the NextGen in the construction industry! 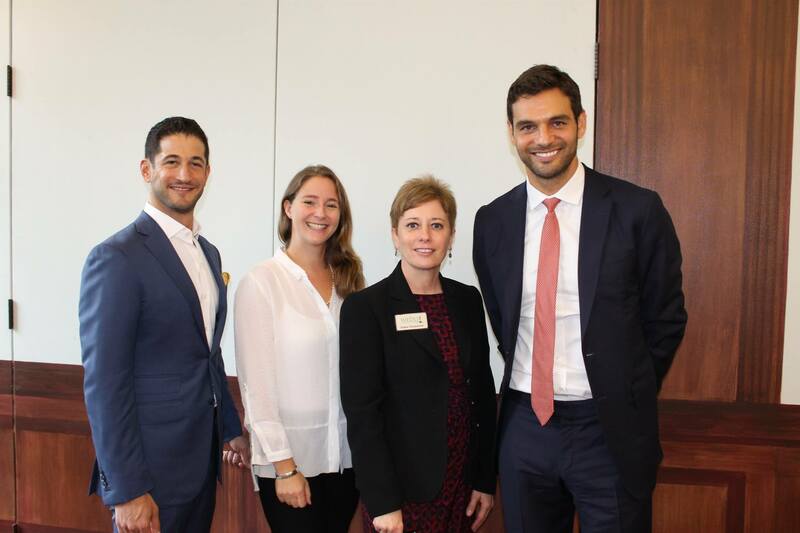 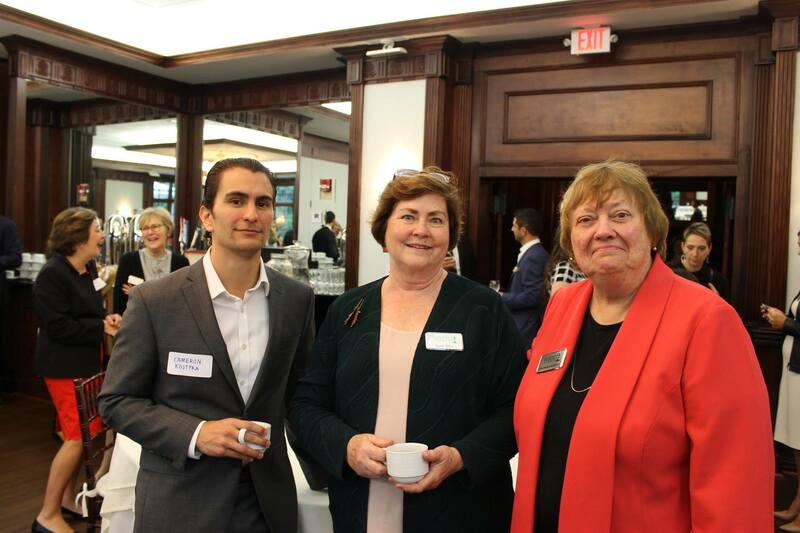 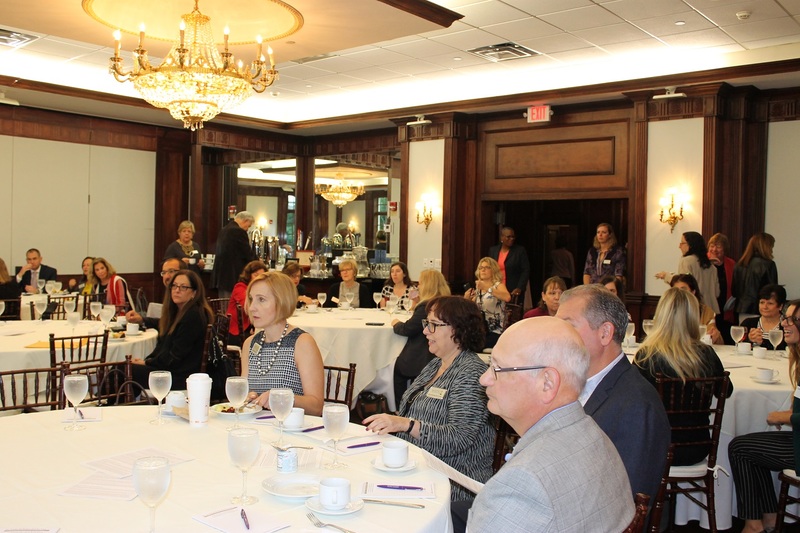 Our guests were Alison Brennan of First Development Corp., Scott Burman of the Engel Burman Group, and Steven Dubb of the Beechwood Organization who have each taken up the challenge of continuing the success of previous generations. 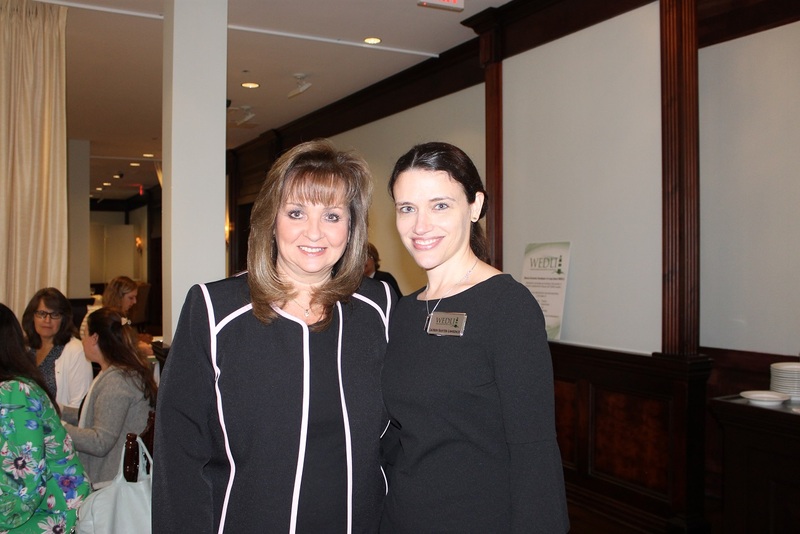 During the meeting, we welcomed new member Helen Patrikis! 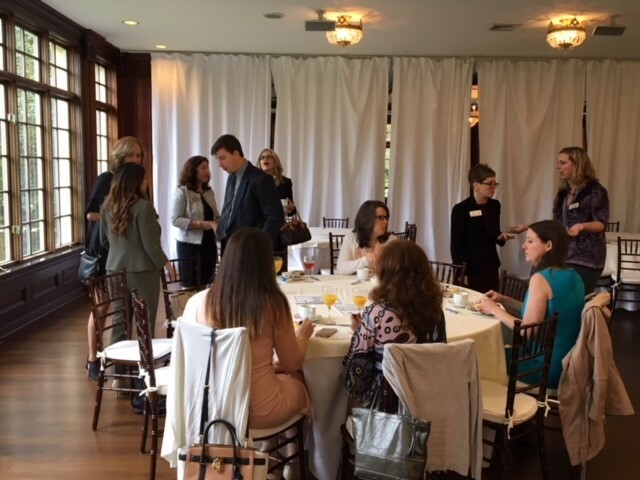 Thanks to our sponsors: Raich Ende Malter & Co. LLP and Schroder & Strom, LLP! 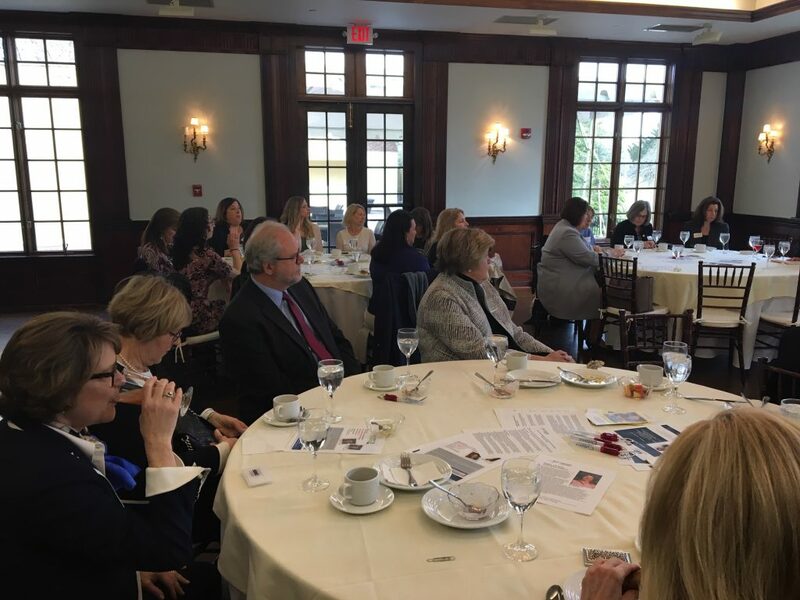 The Hauppauge Industrial Park boasts 1,350 businesses, 55,000 employees, and $2.9 billion in combined payroll – in fact, one in 20 jobs on Long Island is dependent on the Park. 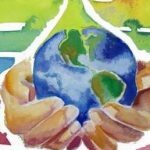 It’s time to spread the word about this hidden economic engine! 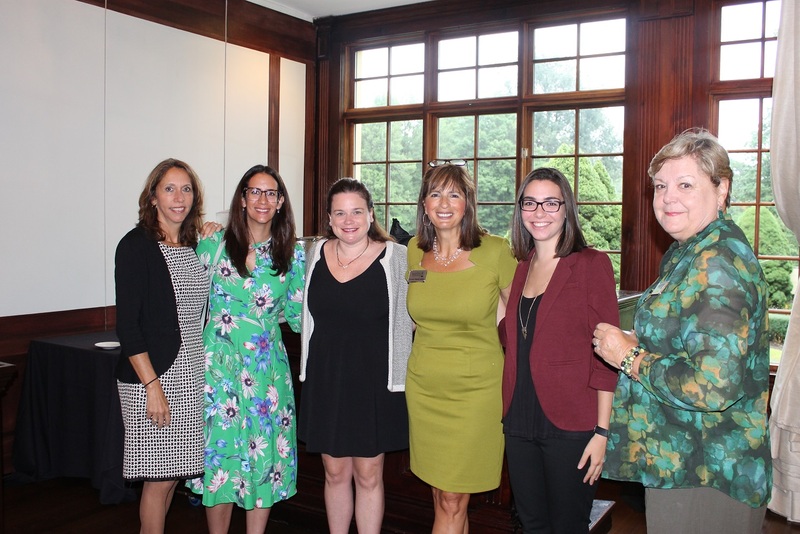 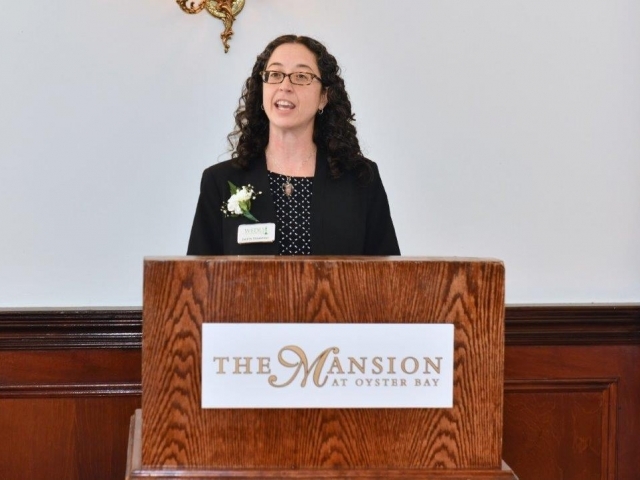 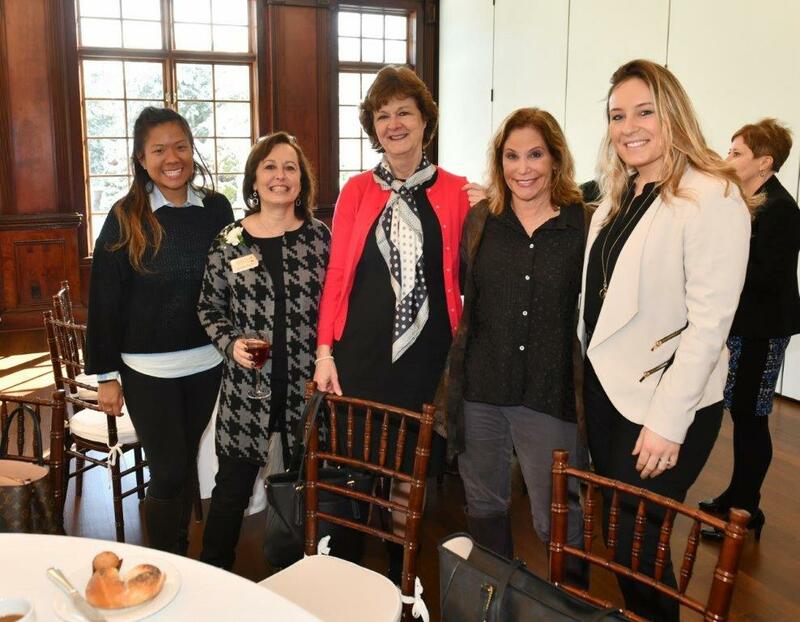 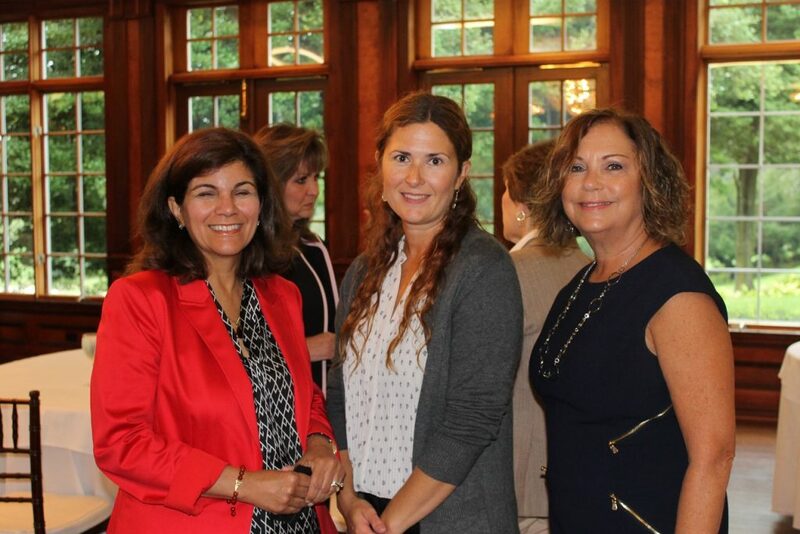 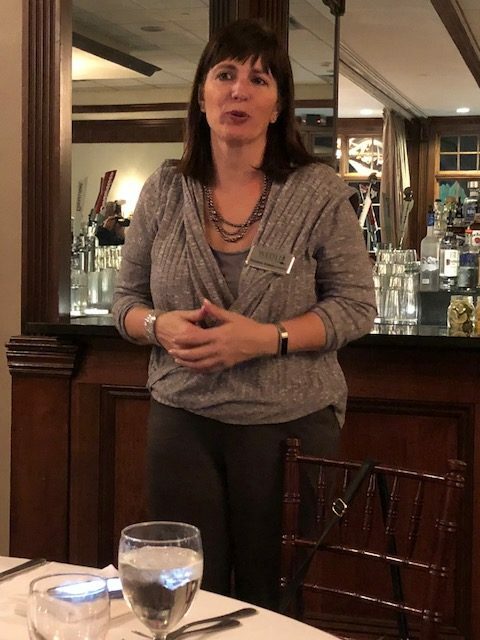 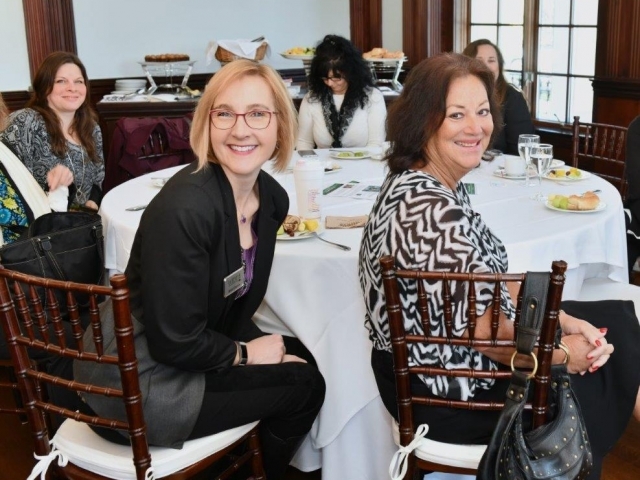 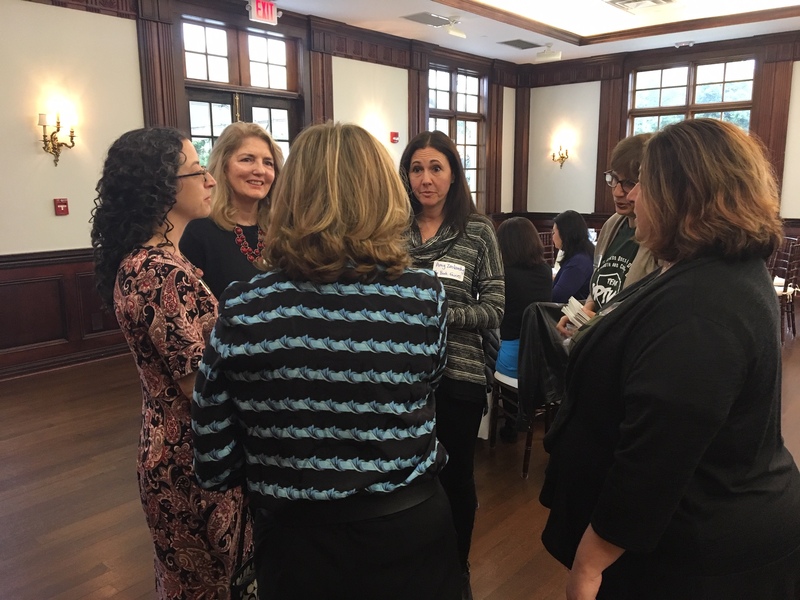 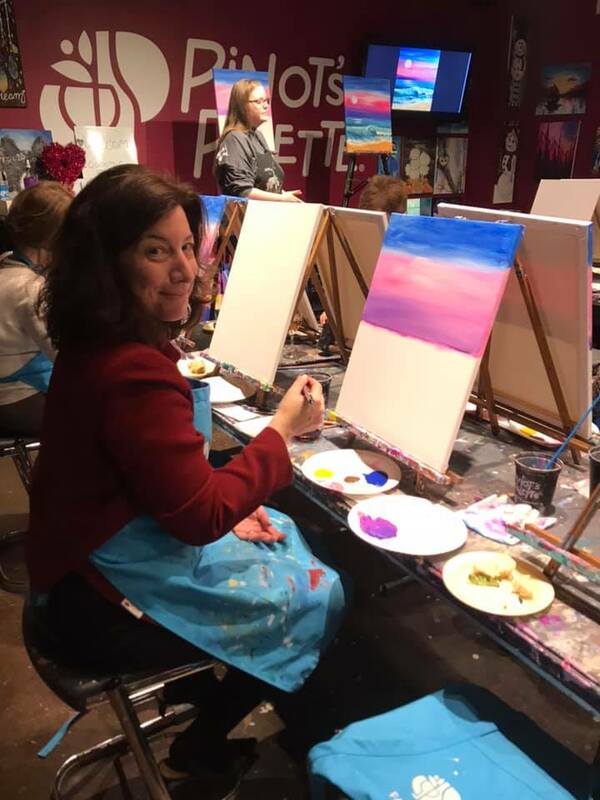 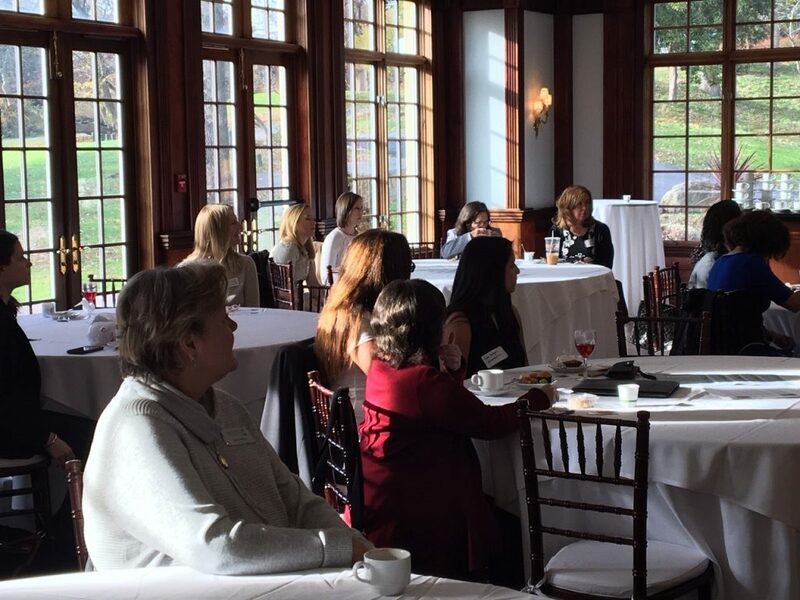 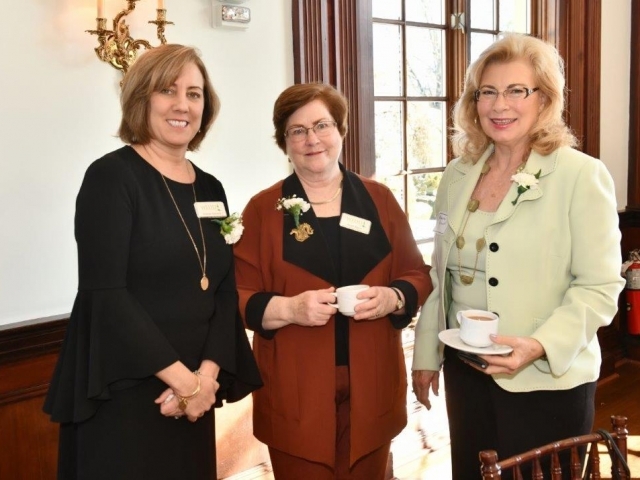 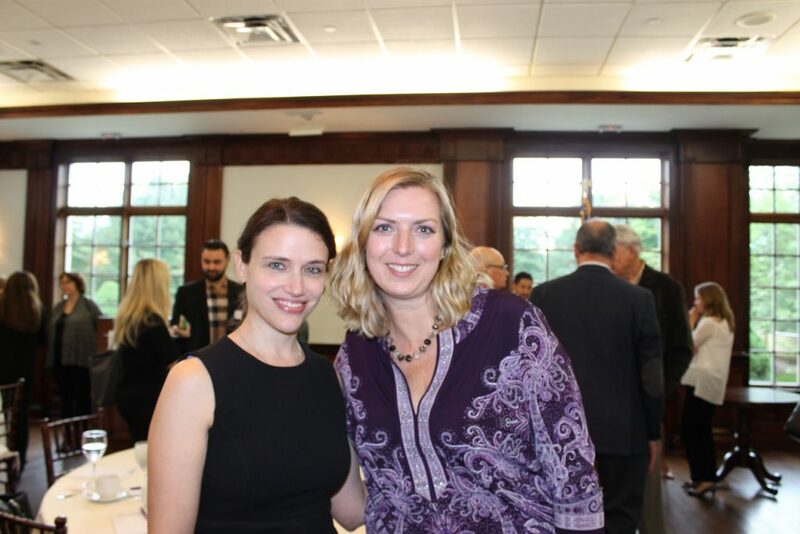 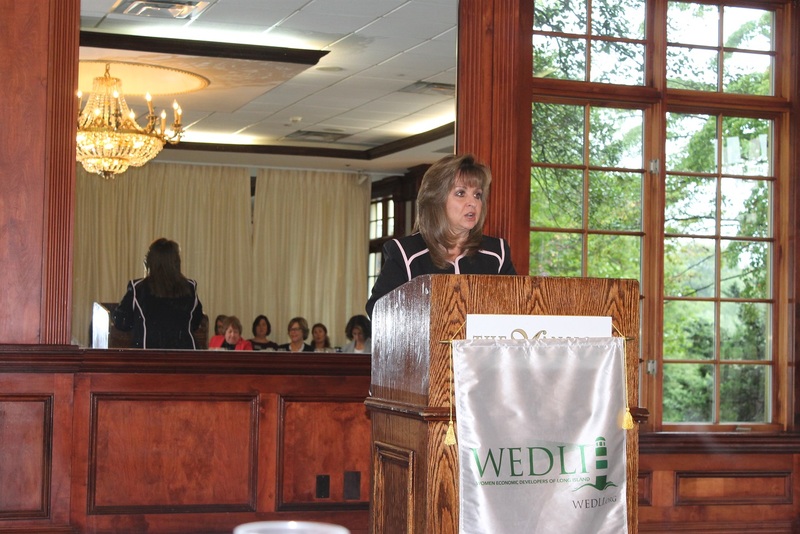 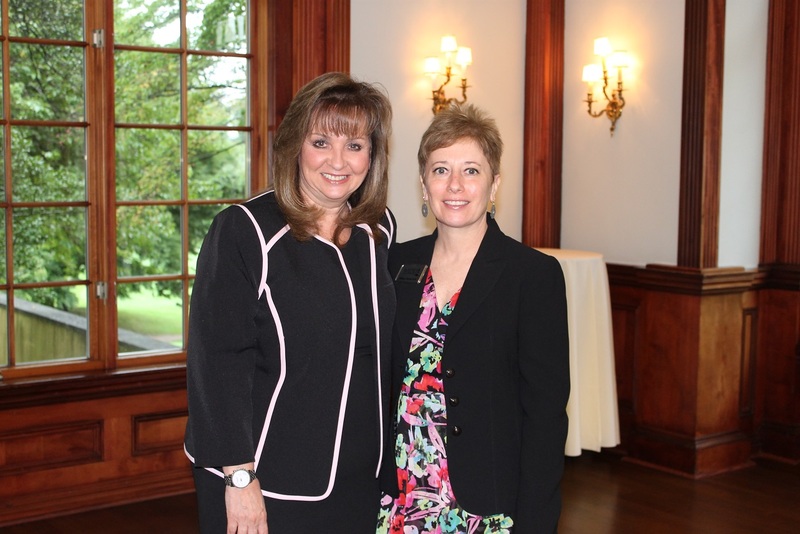 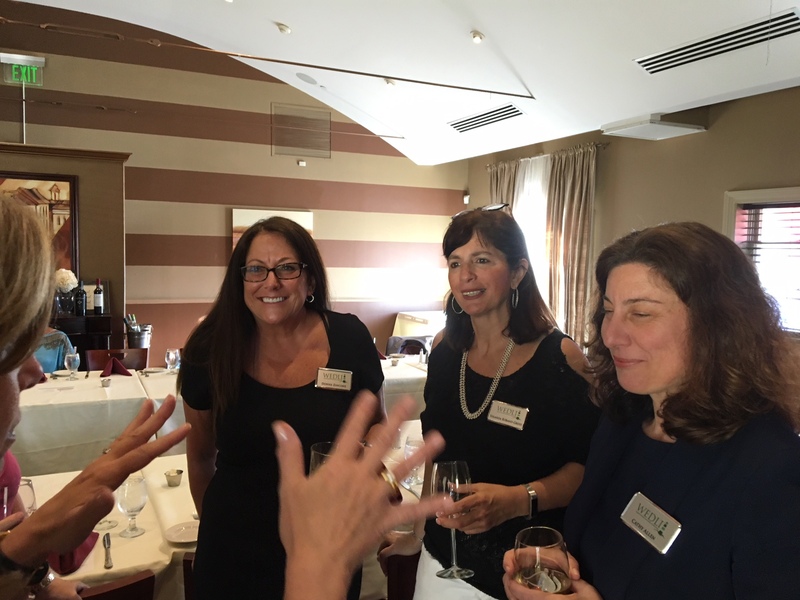 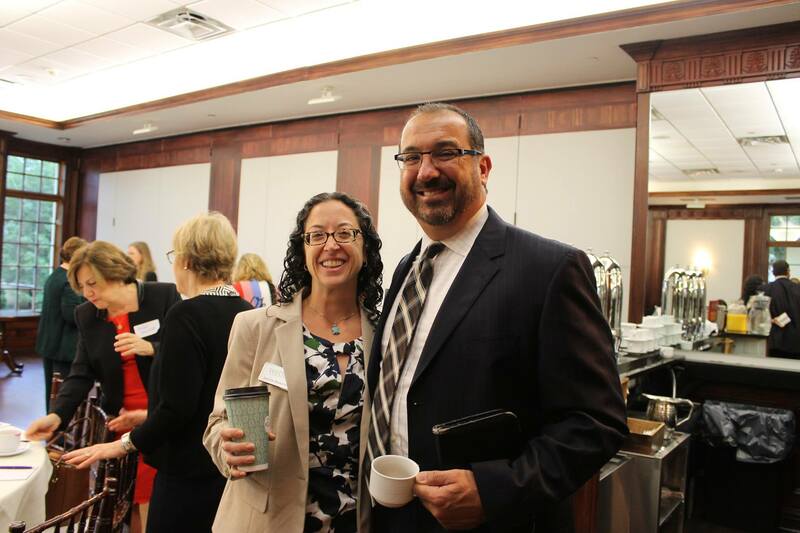 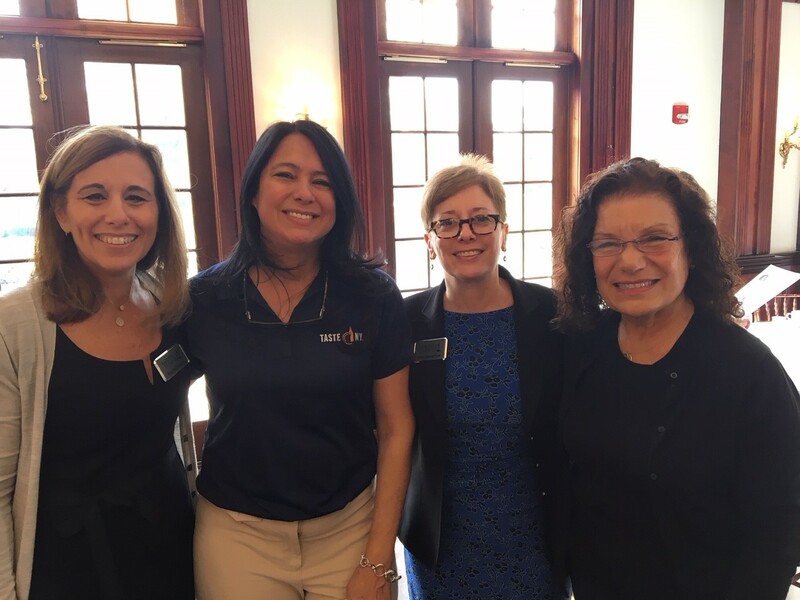 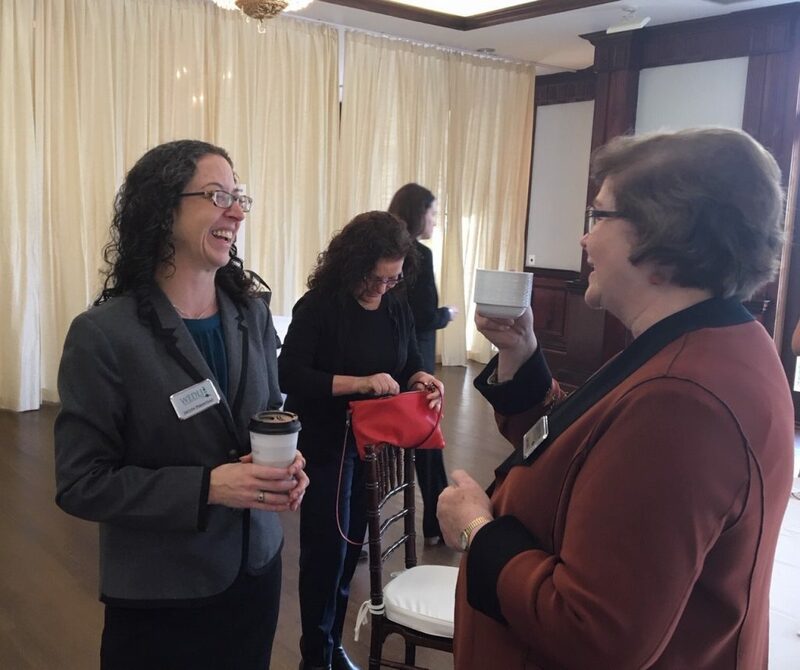 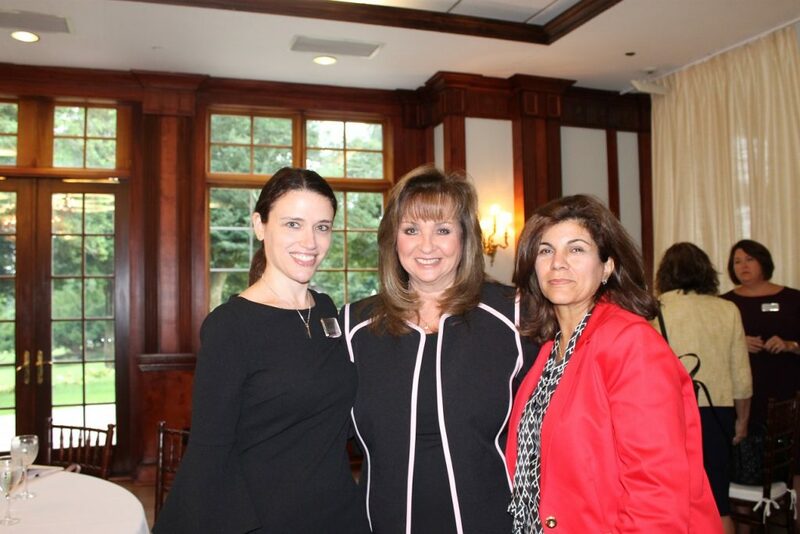 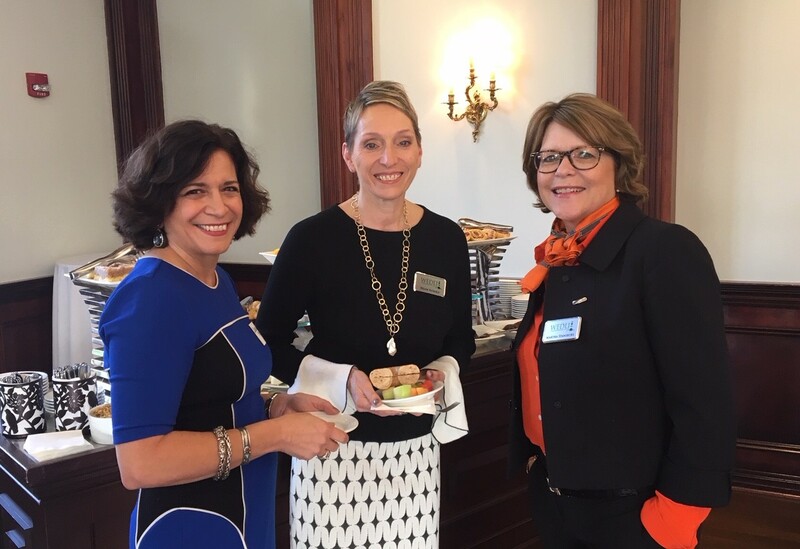 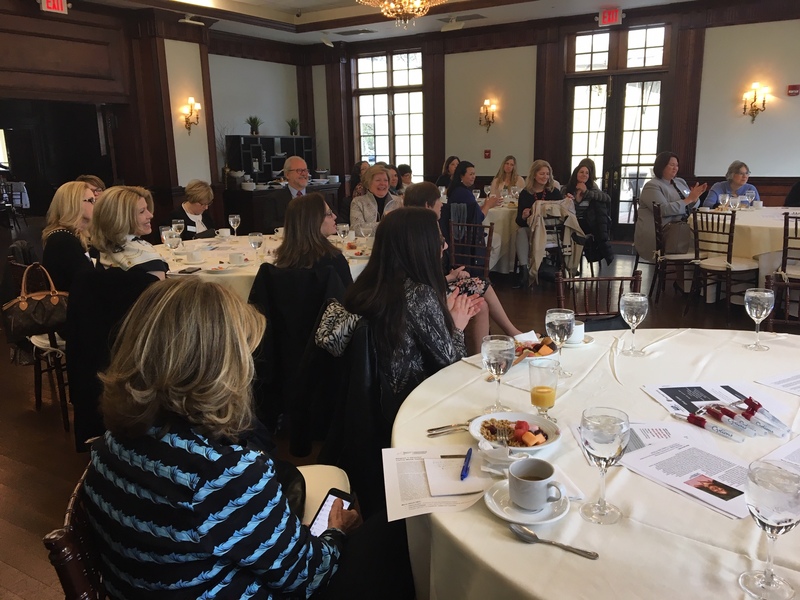 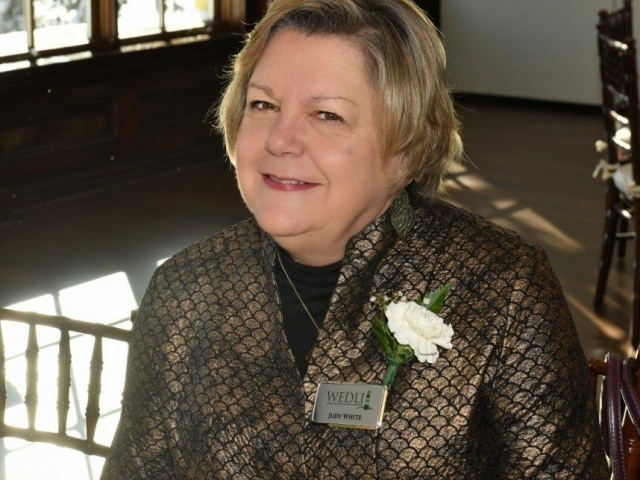 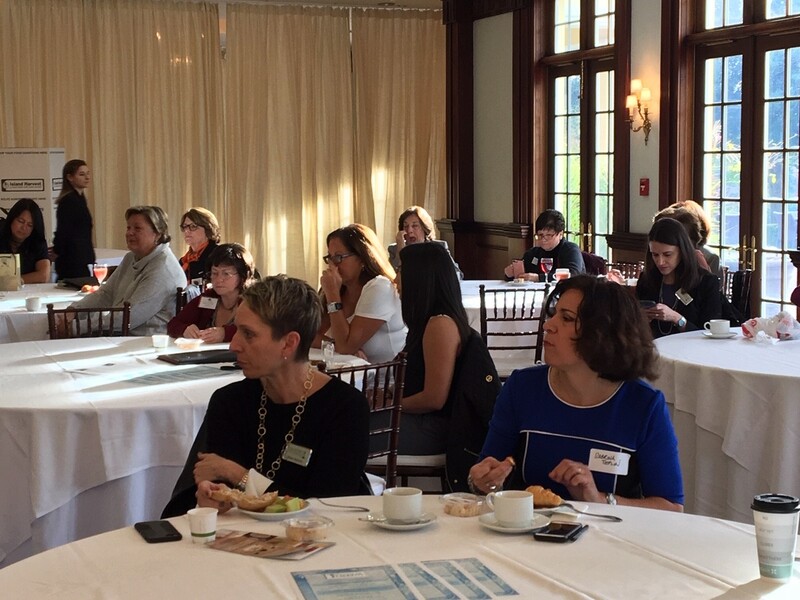 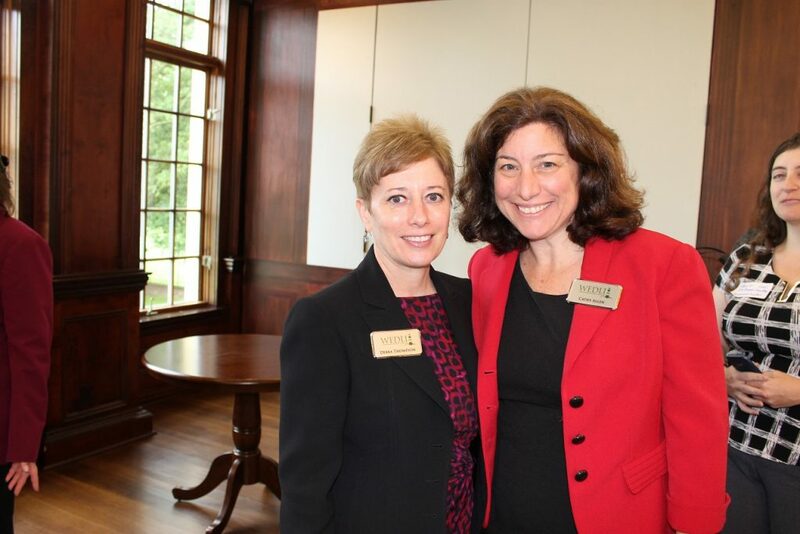 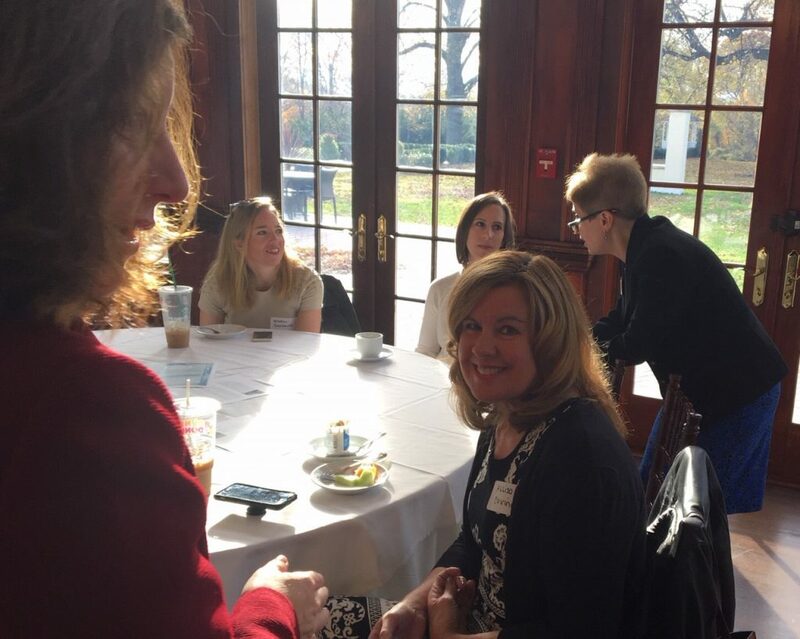 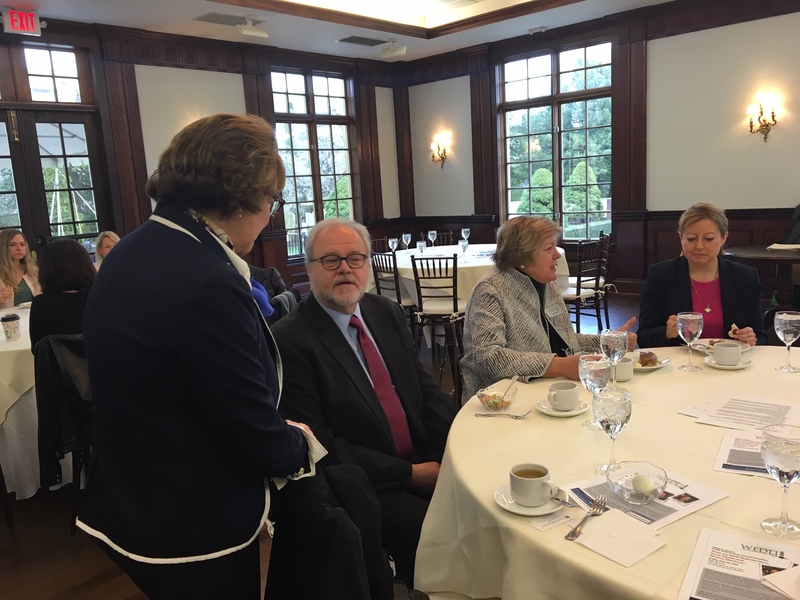 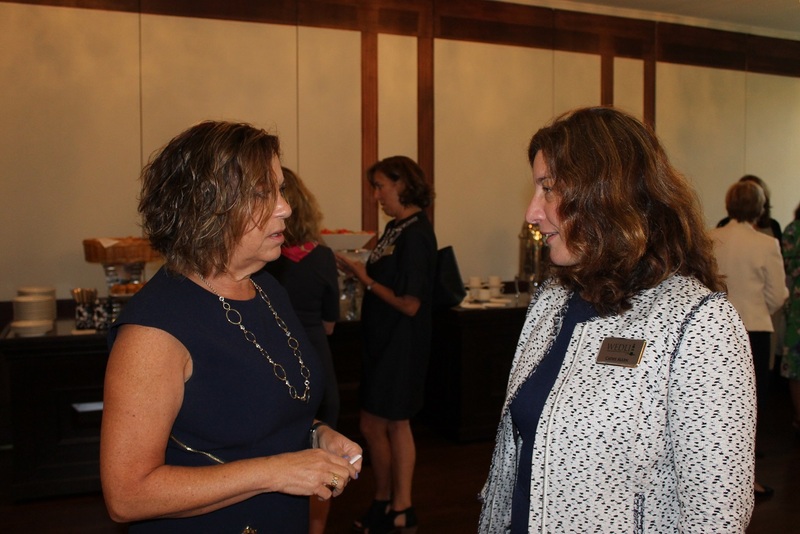 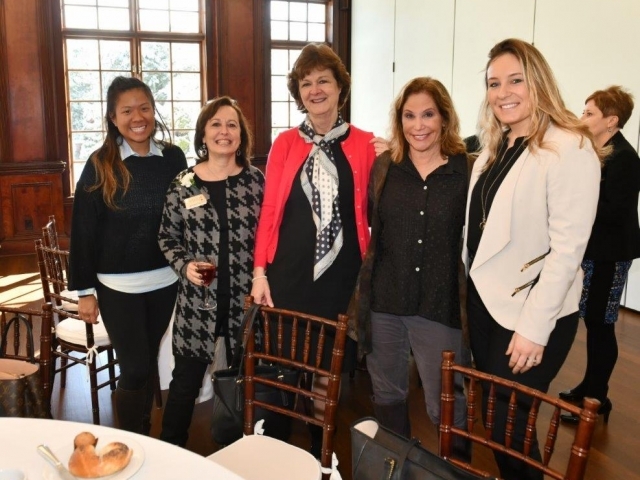 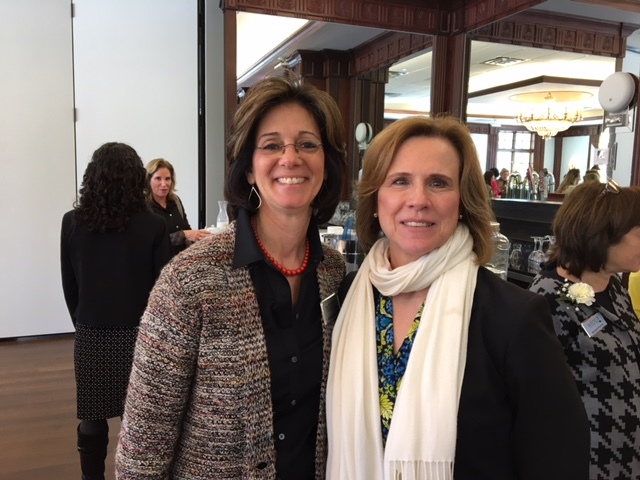 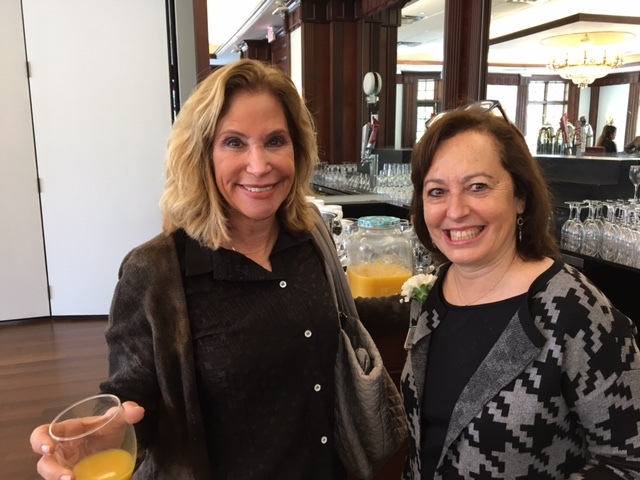 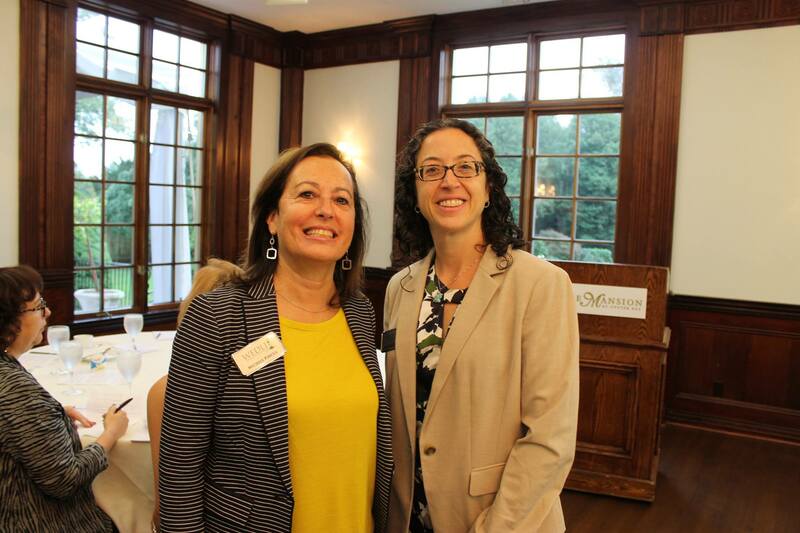 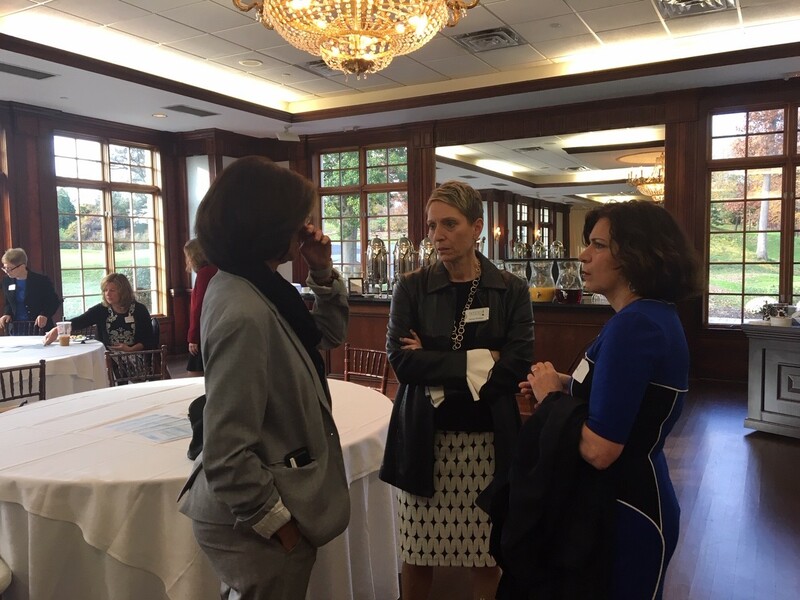 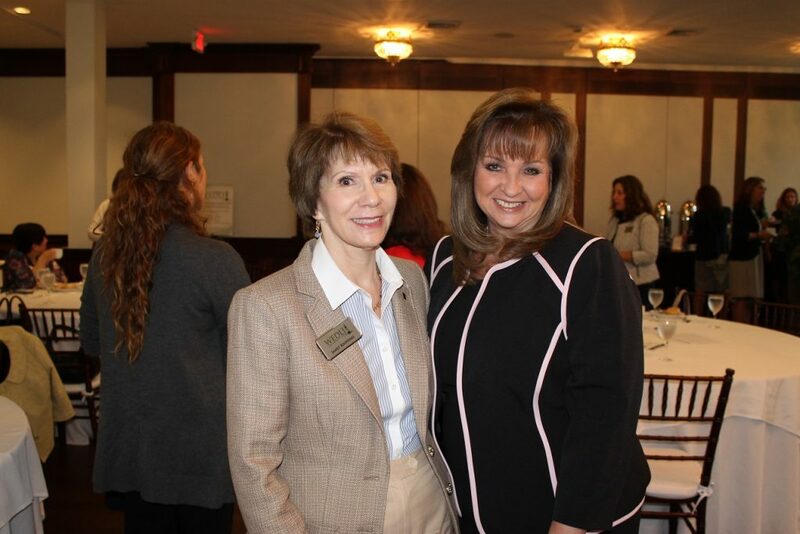 WEDLI welcomed Terri Alessi‐Miceli, president of the Hauppauge Industrial Association (HIA‐LI). 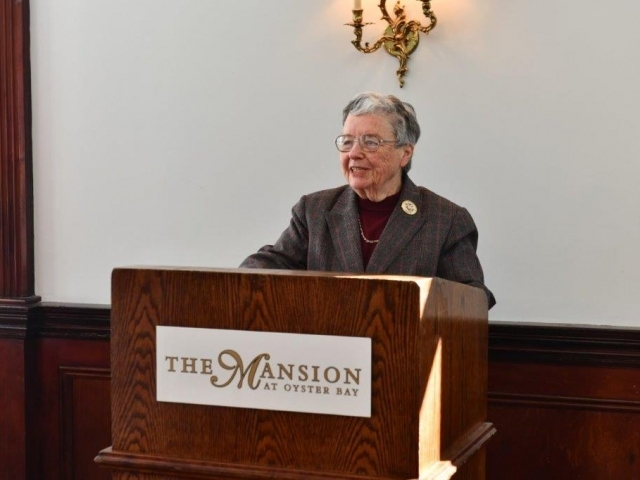 She detailed the HIA-LI’s efforts to forge public‐private partnerships, update technology, and rebuild infrastructure. 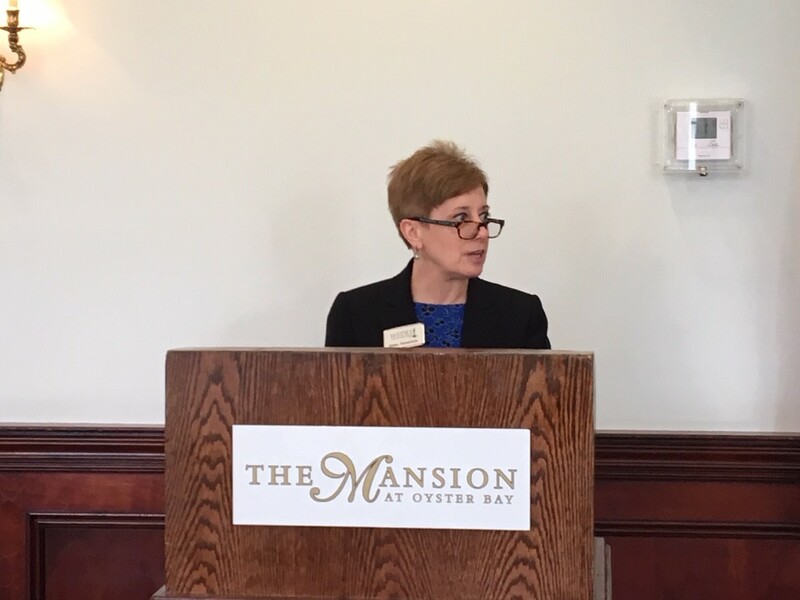 And she shared the staggering results of HIA‐LI’s recent Economic Impact Study that revealed the Park’s extraordinary role in the economy. 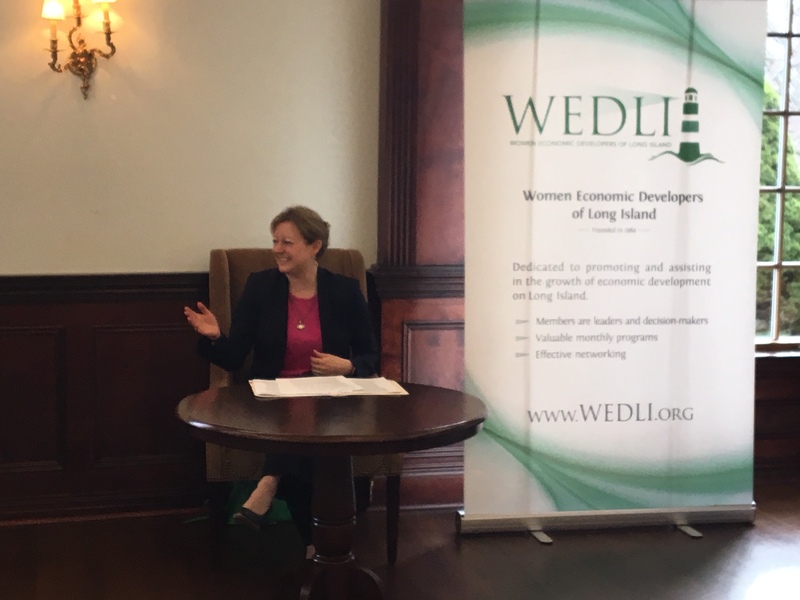 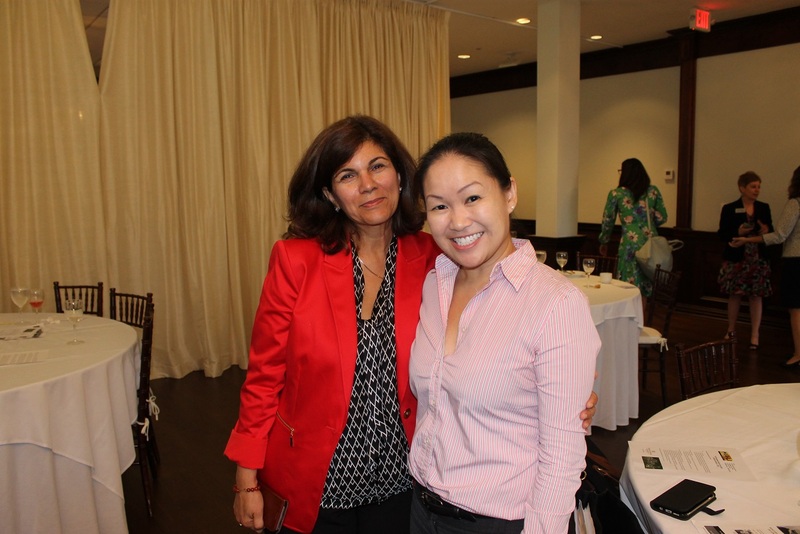 One week before the official start of summer, WEDLI gathered members and guests for a networking event. 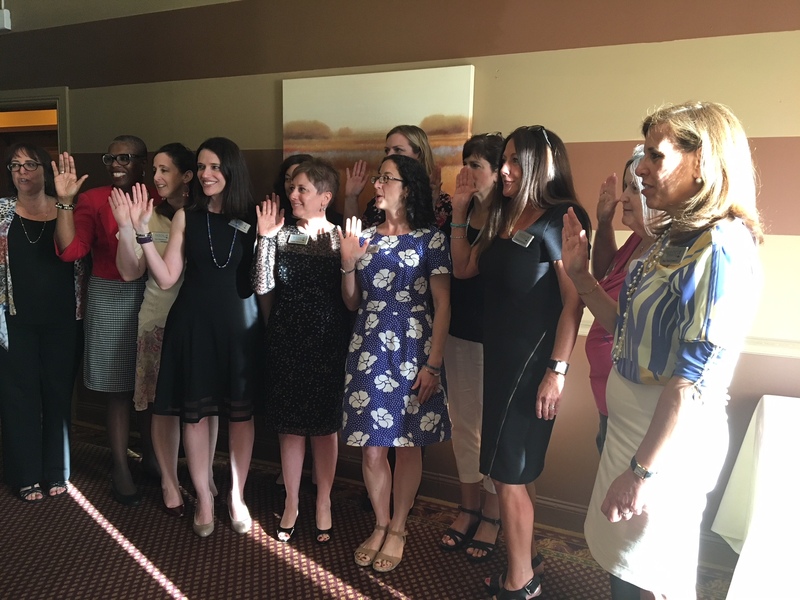 We also inducted the 2018-19 officers and board members of WEDLI. 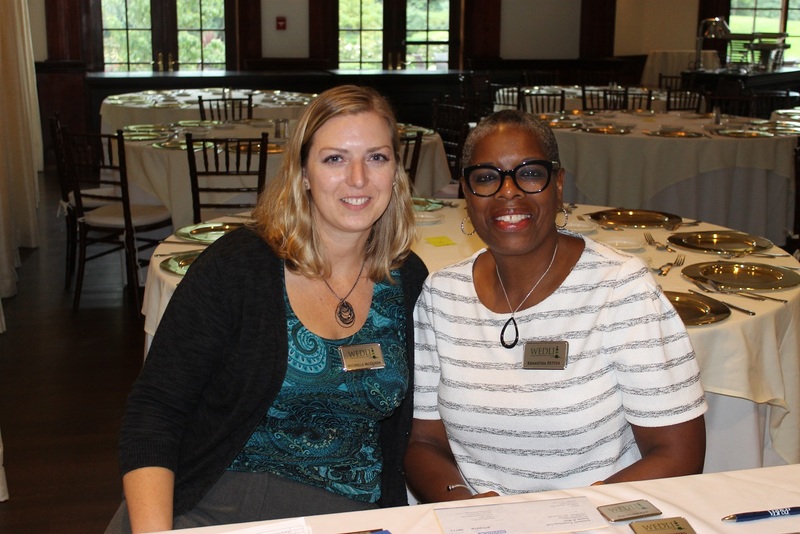 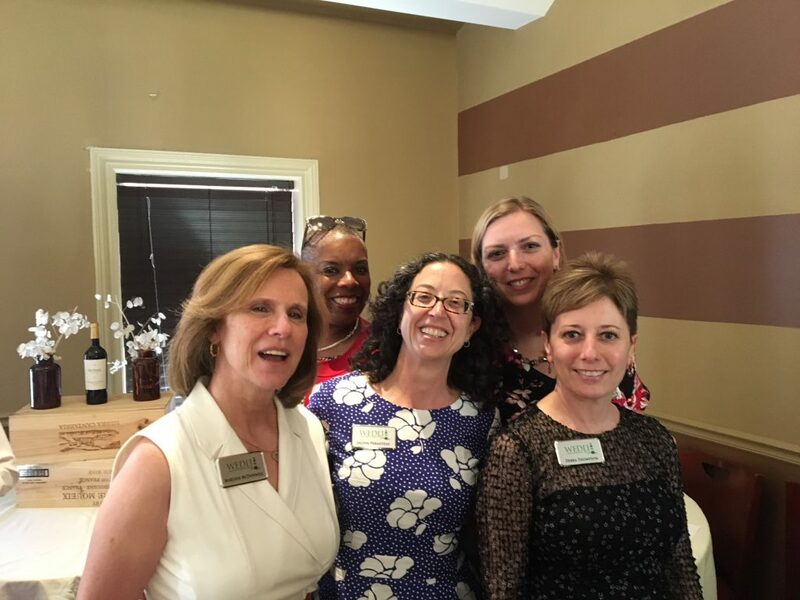 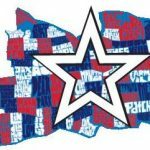 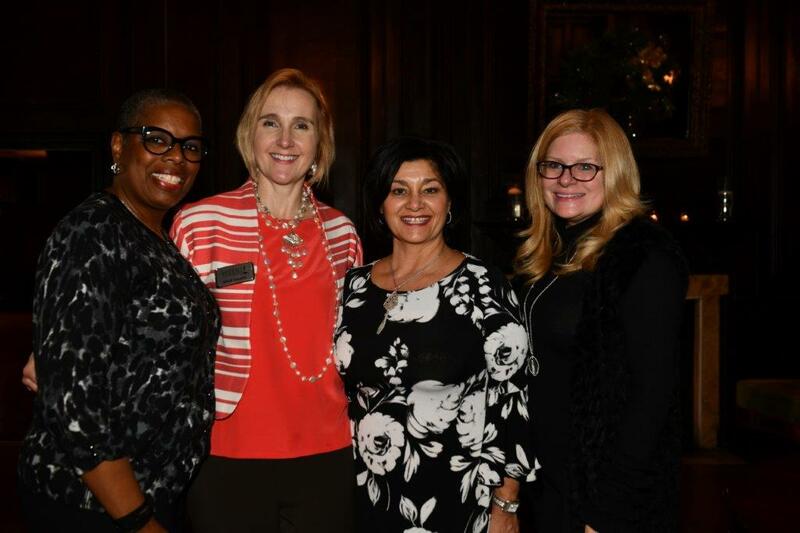 New board members include Lauren Kanter Lawrence, Michele McQueen, Yolanda Robano-Gross, and Donna Zincone. 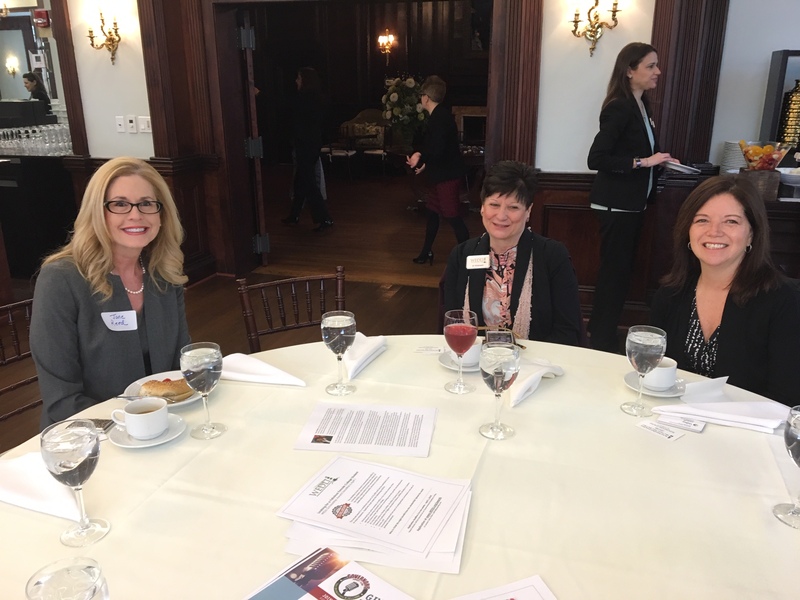 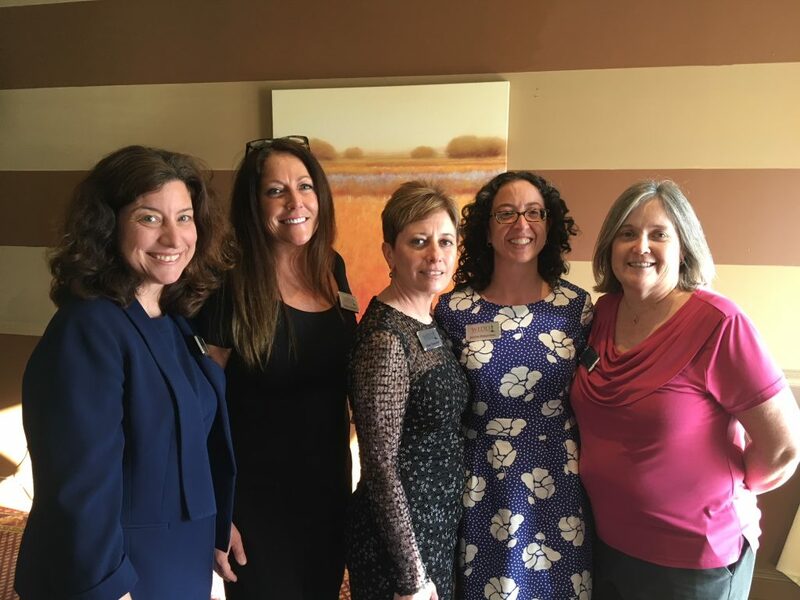 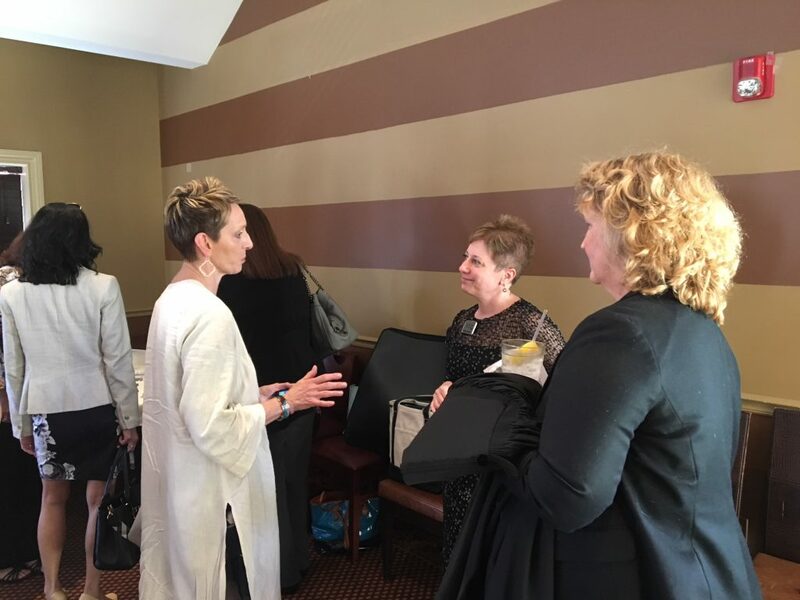 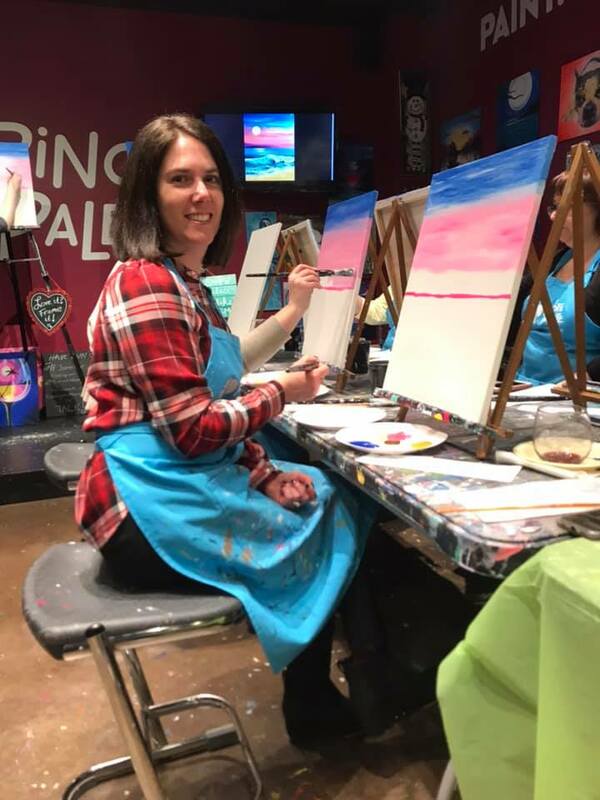 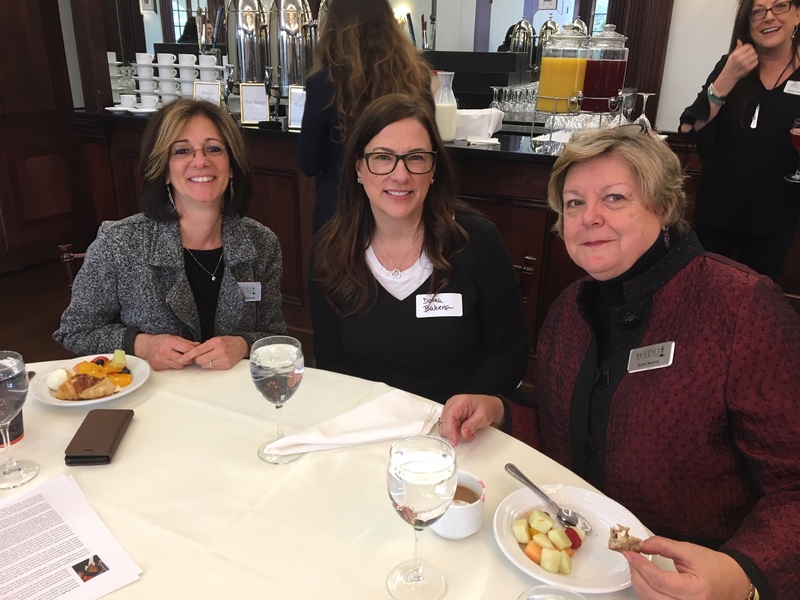 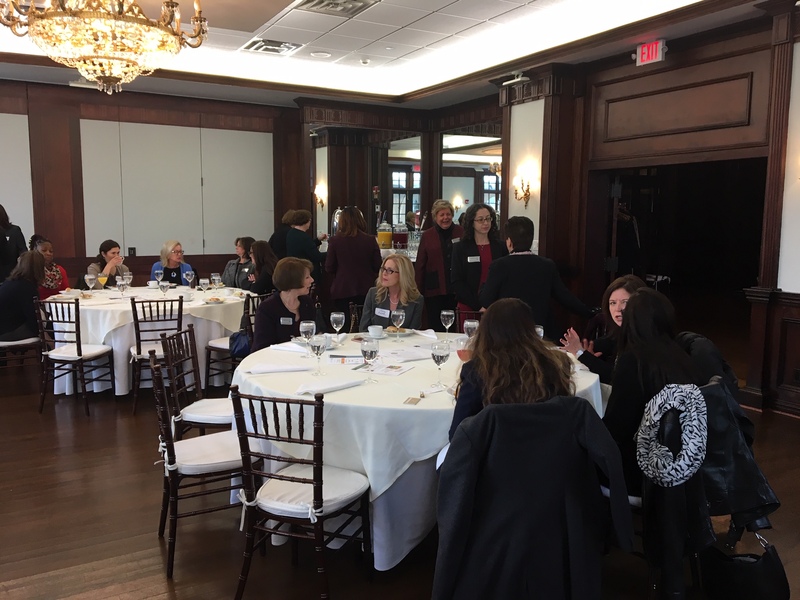 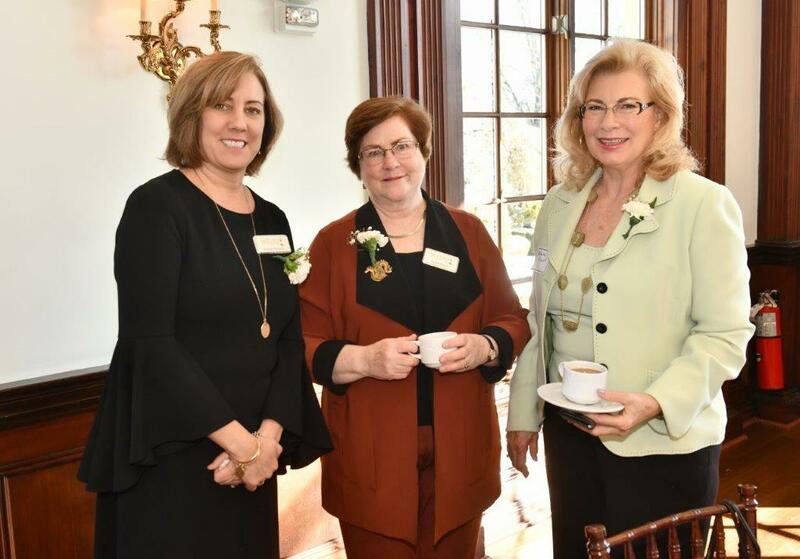 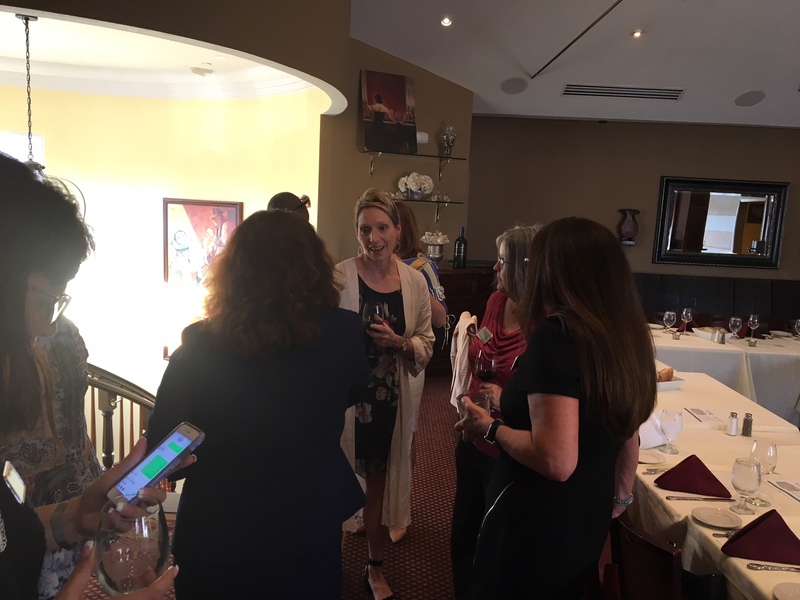 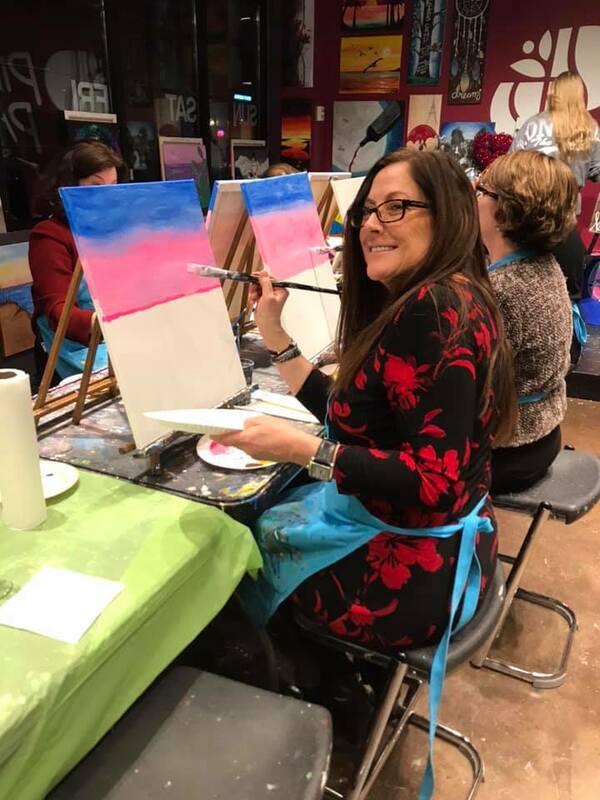 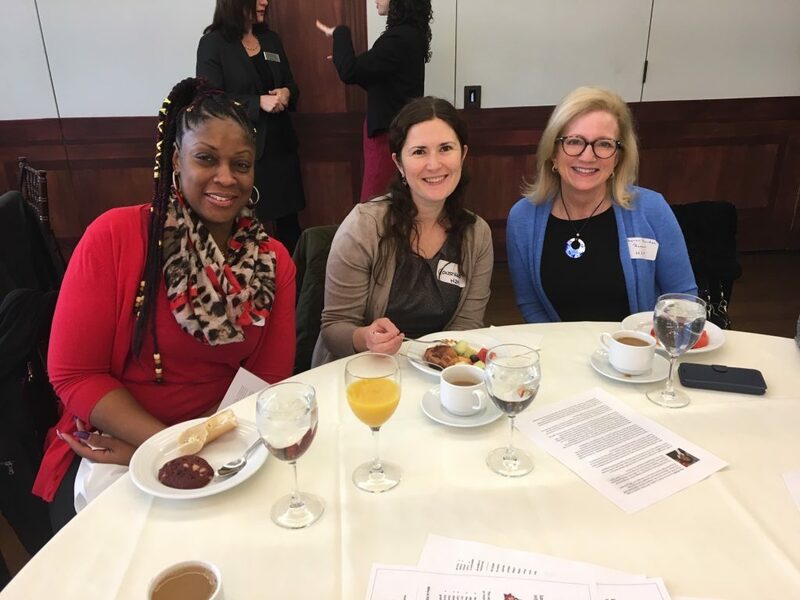 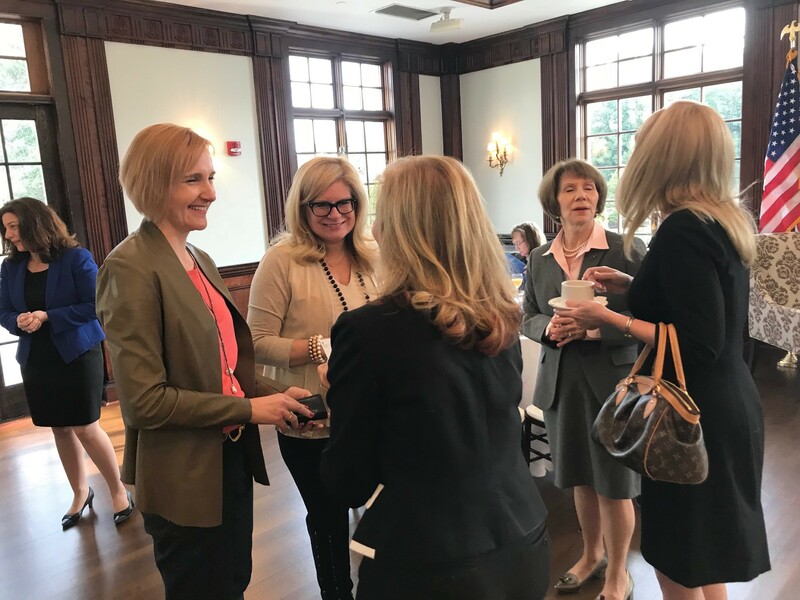 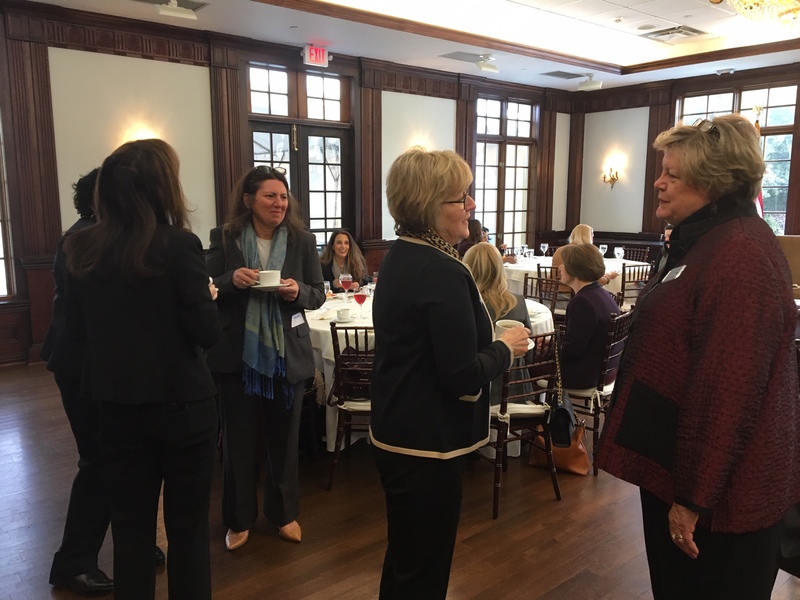 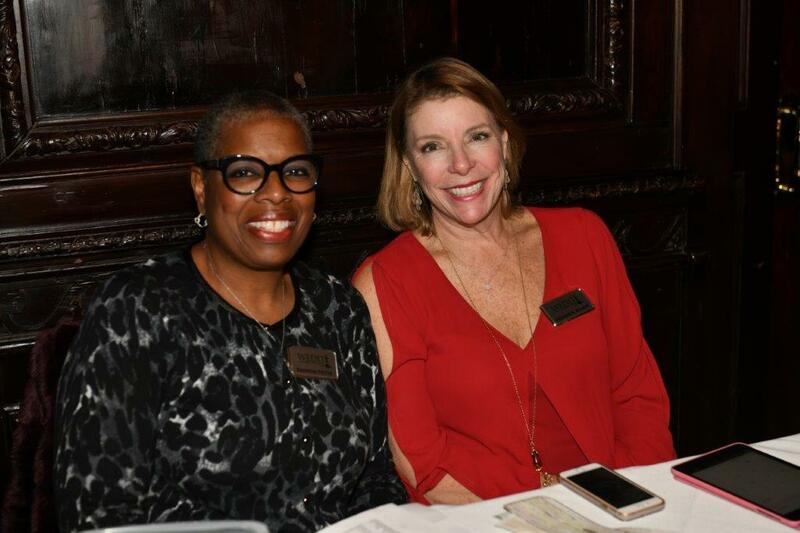 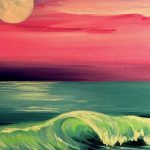 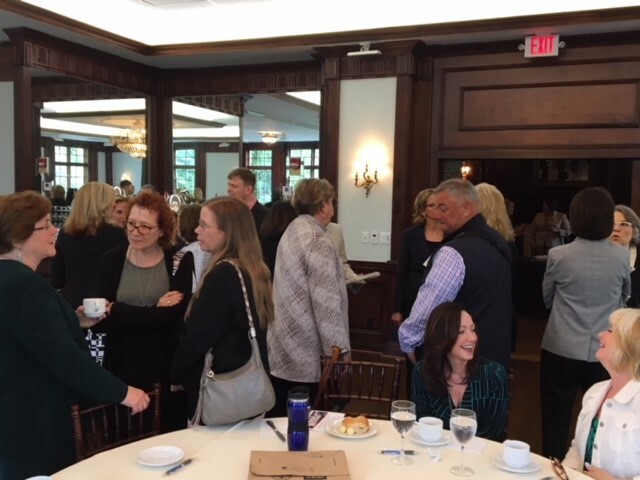 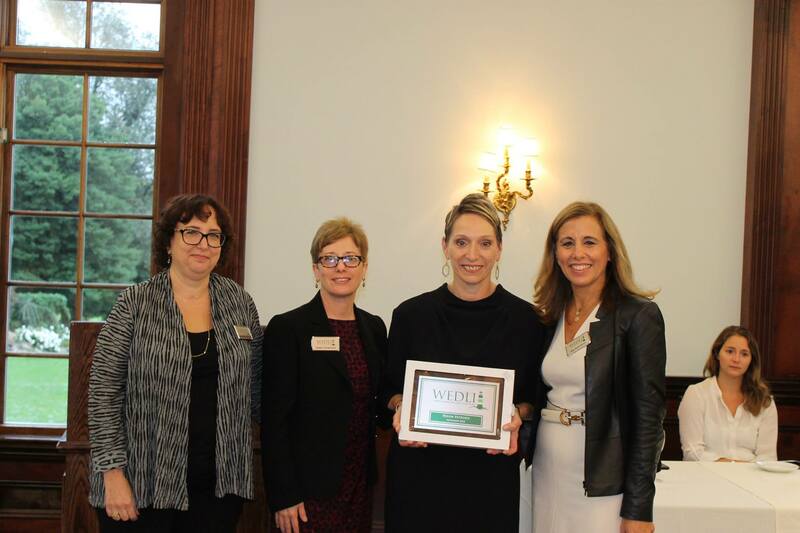 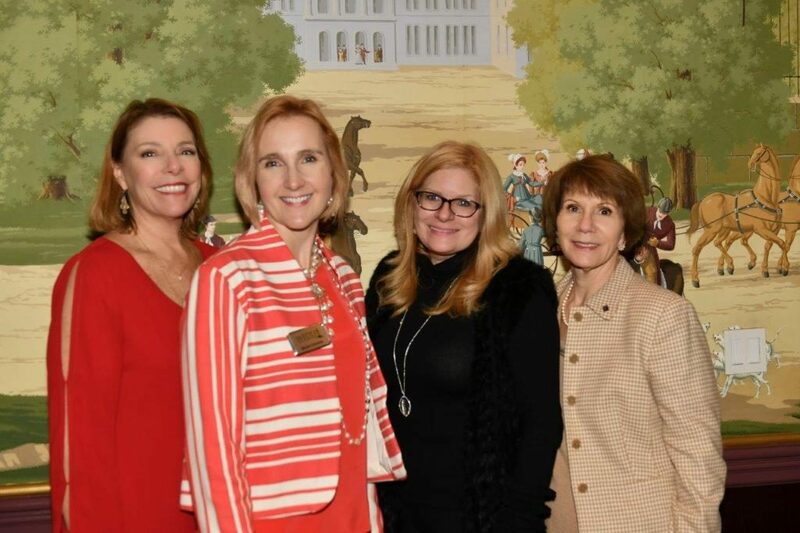 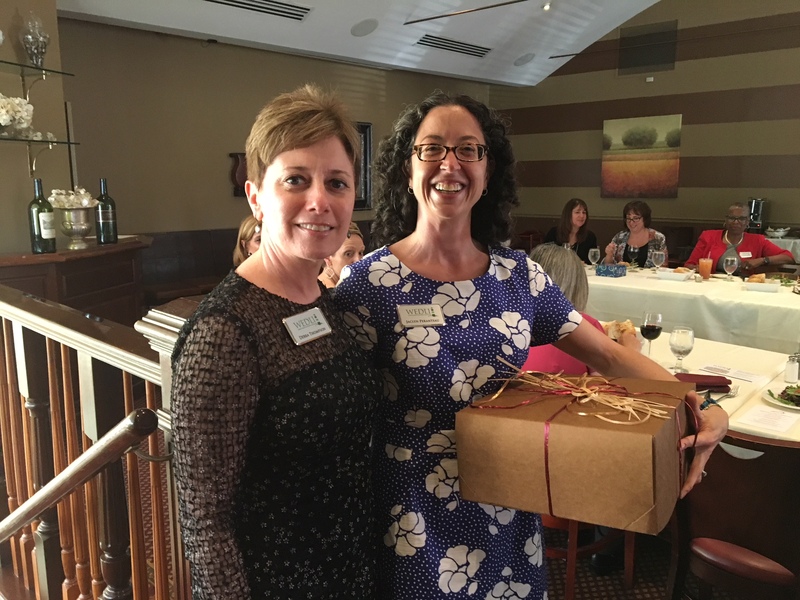 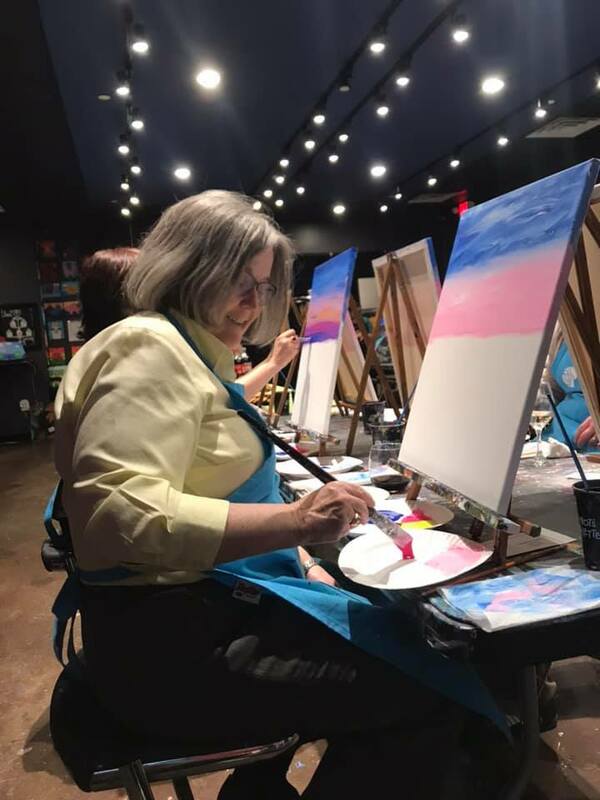 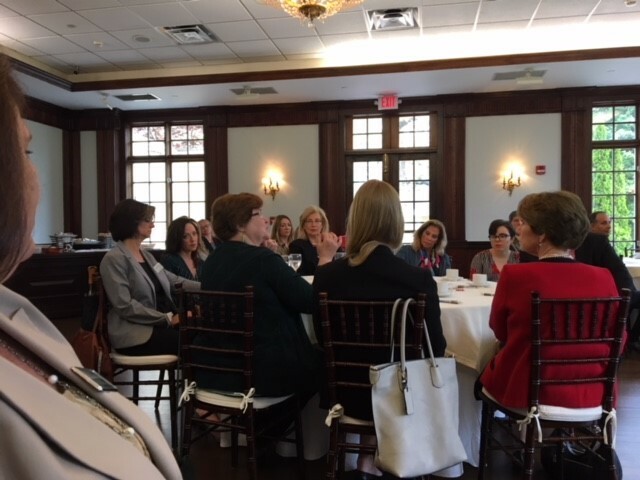 And we are grateful for the ladies leaving the board, who contributed so much — Becky Creavin, Pat Janco, Suzanne Kirkpatrick Nelson, and Dayna Molinelli. 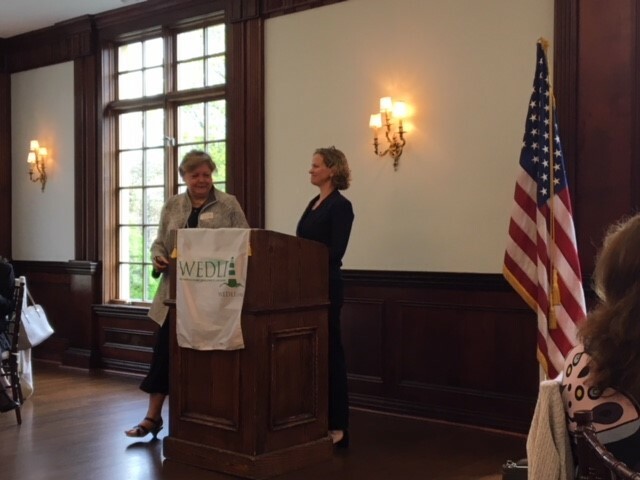 And Incoming President Debra Thompson recognized the contributions of Outgoing President Jackie Peranteau. 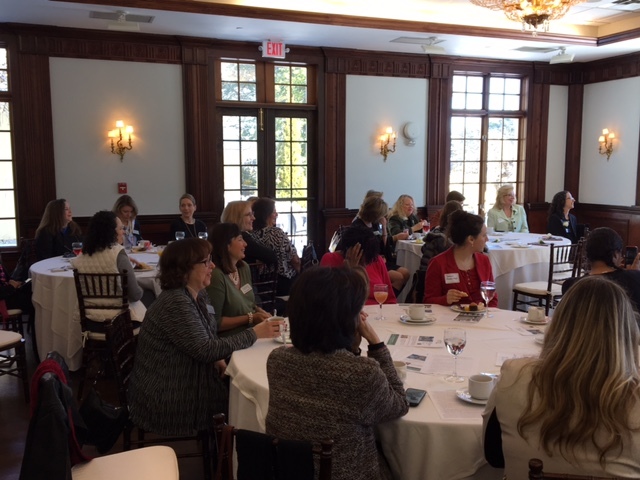 Thanks to all who joined us! 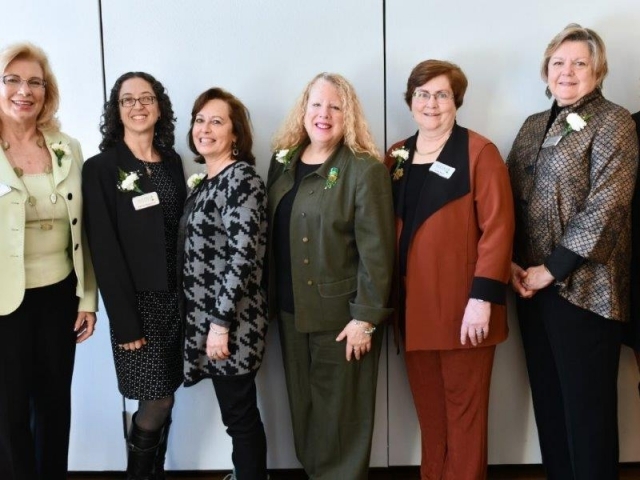 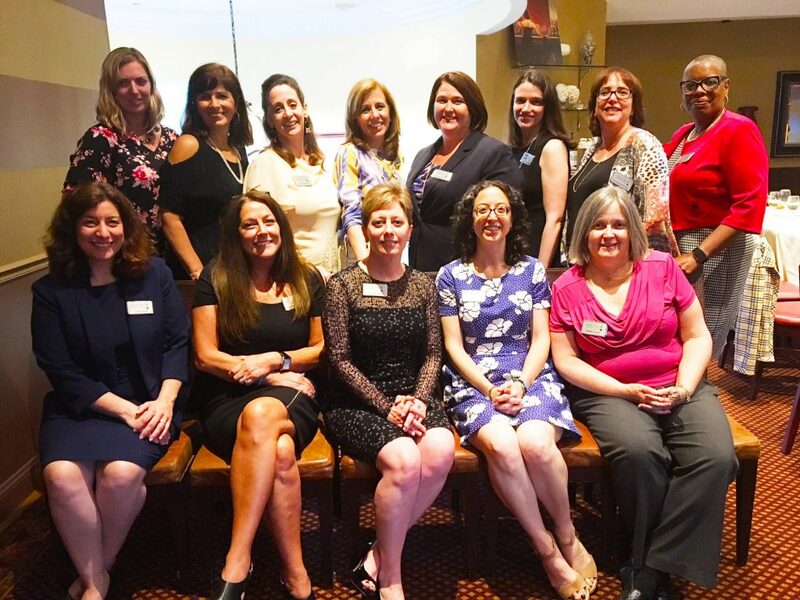 The 2018-19 Board (Top): Michelle McQueen, Yolanda Robano-Gross, Flo Federman, Pam Praetorius, Kathleen Deegan Dickson, Lauren Kantor-Lawrence, Jodi Bloom, Kennetha Pettus. 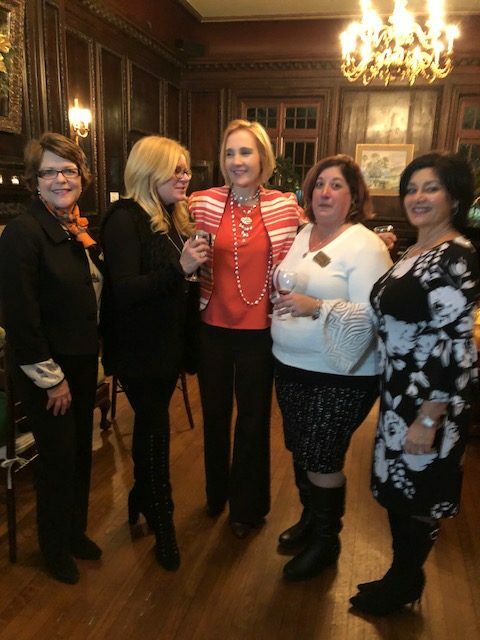 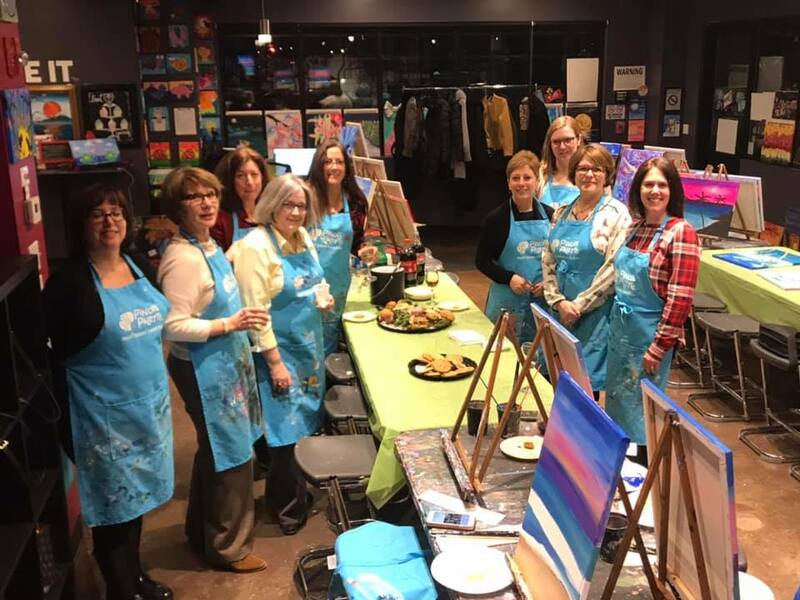 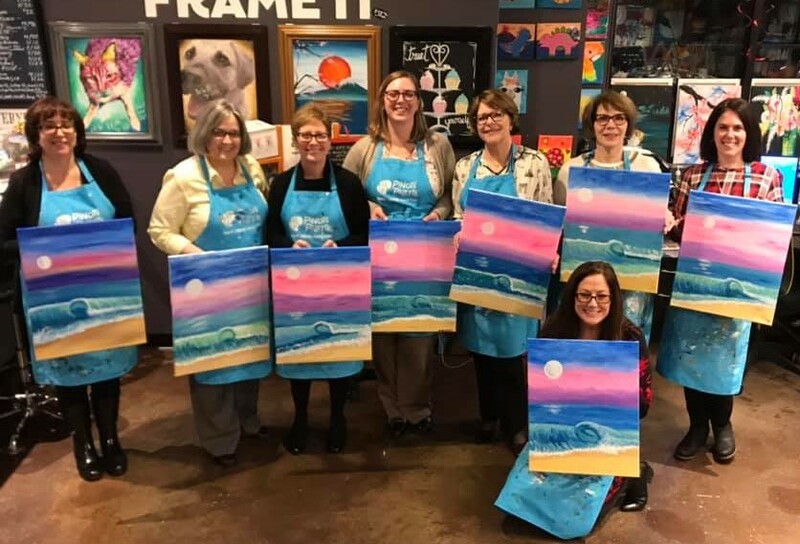 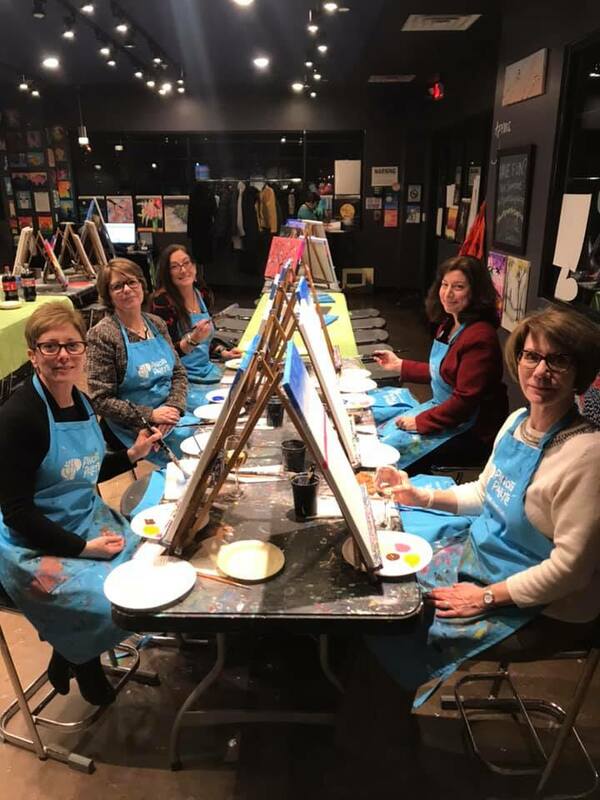 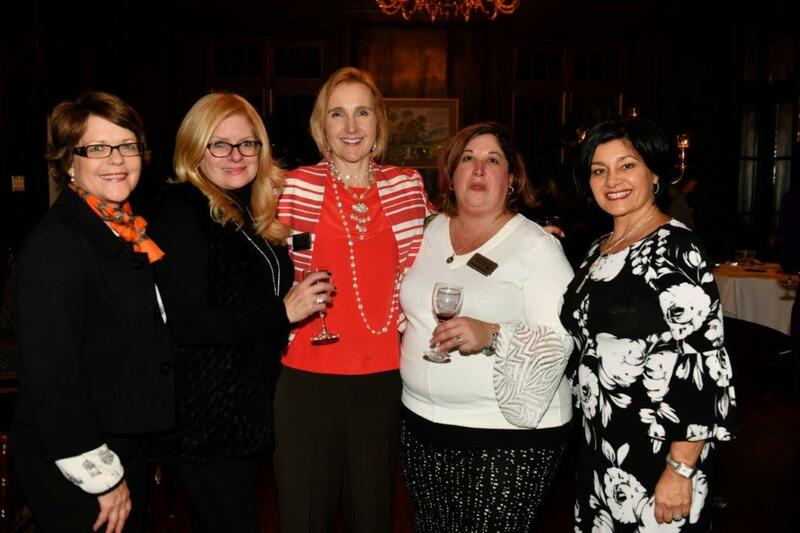 (Bottom): Cathy Allen, Donna Zincone, Debra Thompson, Jackie Peranteau, Karen Dowd. Laura Curran is the ninth Nassau County Executive and the first woman elected to the office. 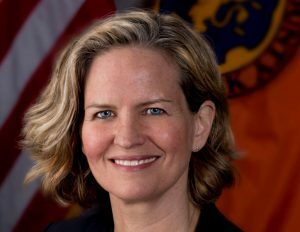 She represents more than 1.3 million residents, has said her priorities are reestablishing faith and trust at the highest levels of government, working with local municipalities to foster economic development and regional projects that support and enhance the use of mass transit, and to restore order to a county budget process that historically yields deficits. 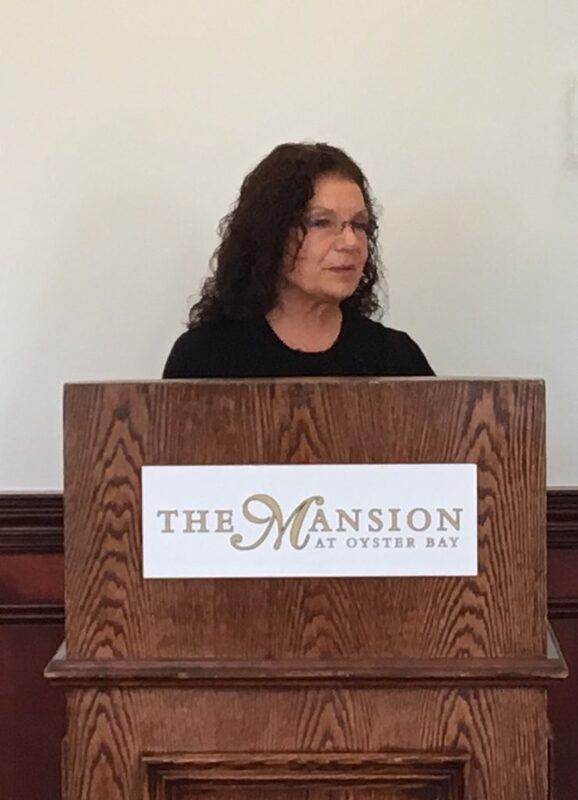 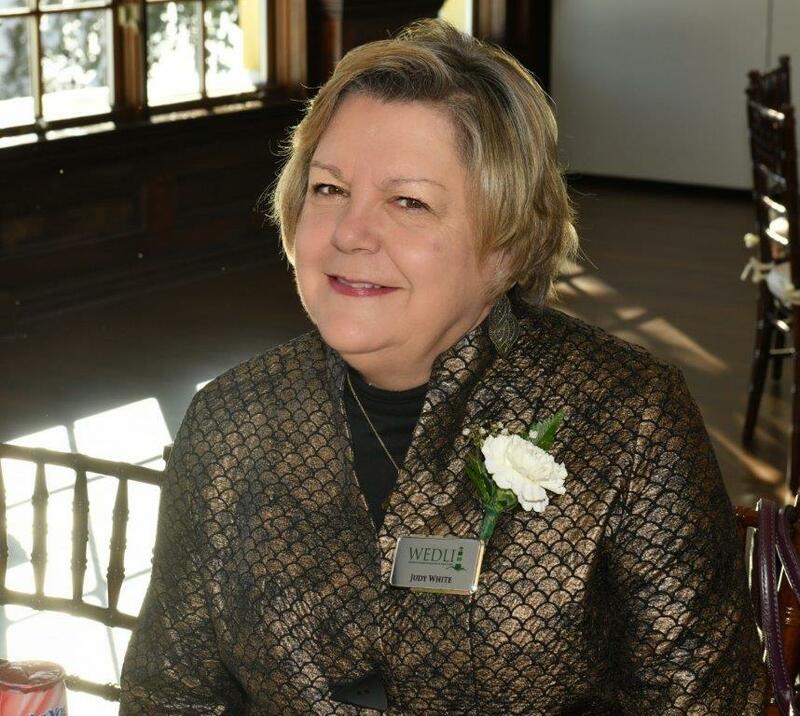 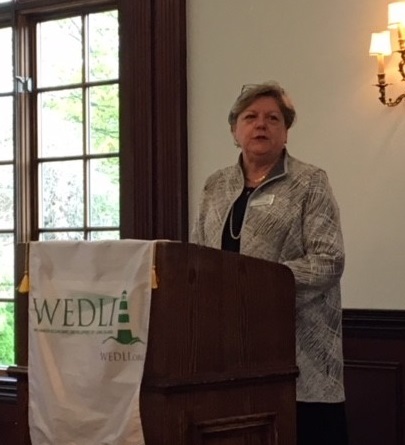 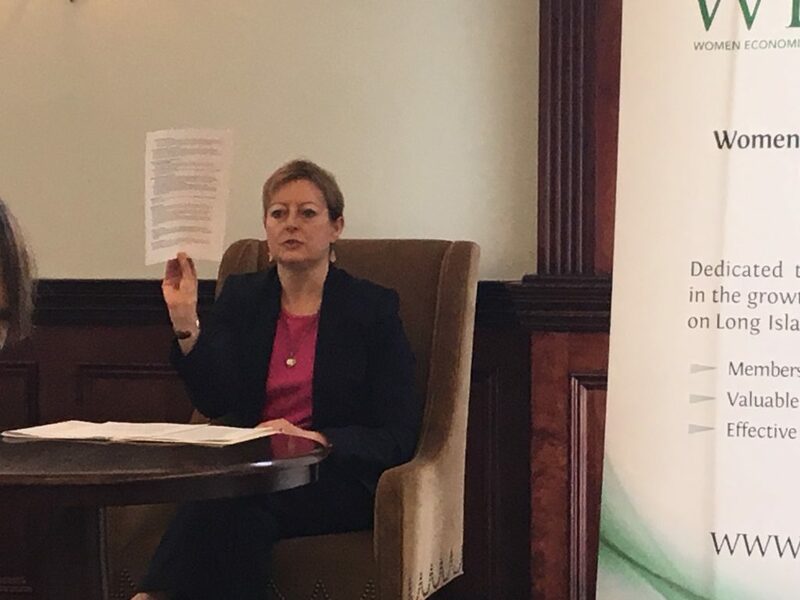 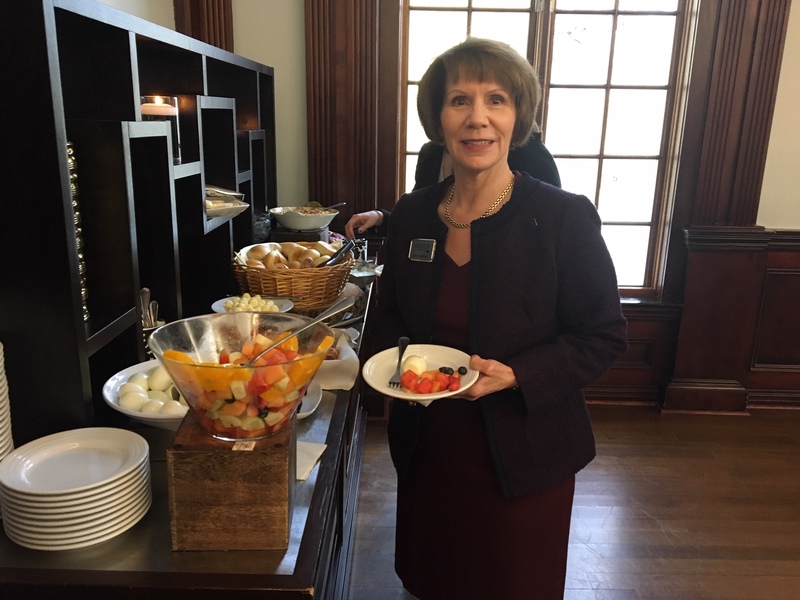 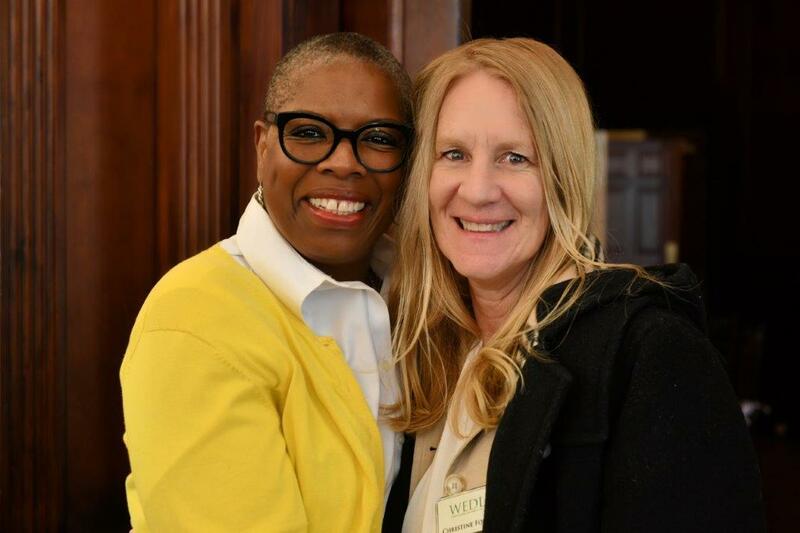 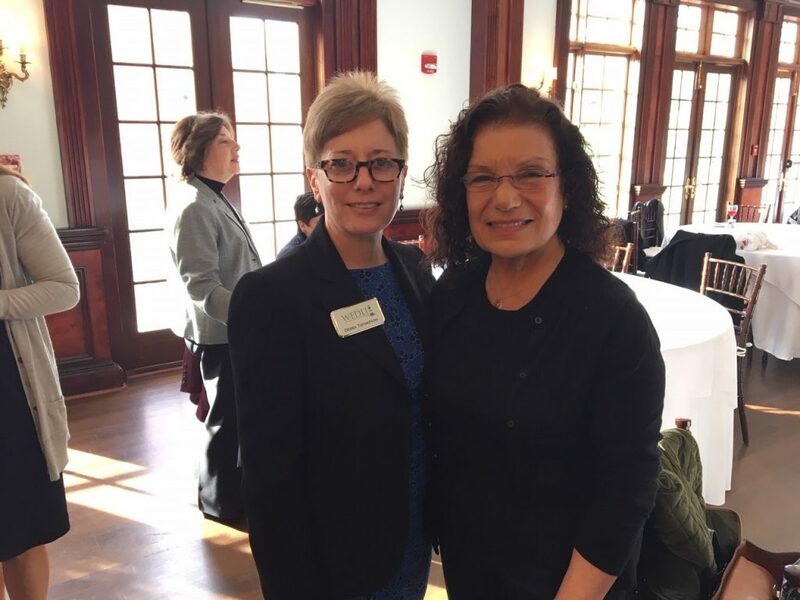 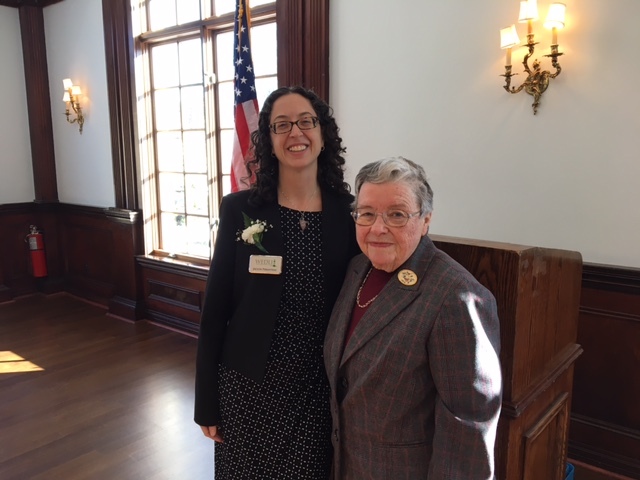 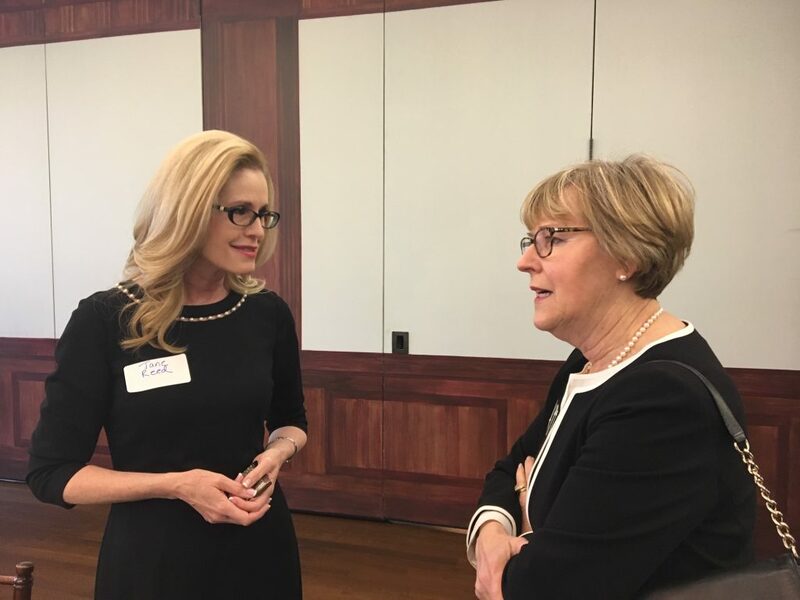 And she was the fabulous speaker at WEDLI’s 2018 Judith McEvoy Governmental Breakfast, introduced by the equally fabulous Judy White, WEDLI’s Co-Legislative Chair. 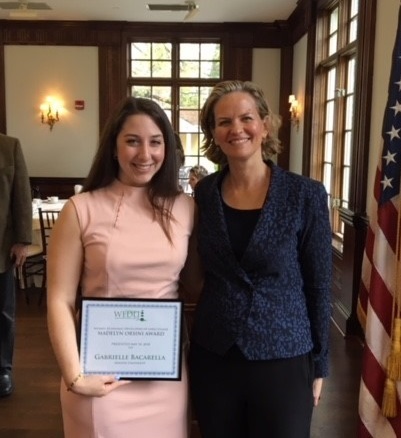 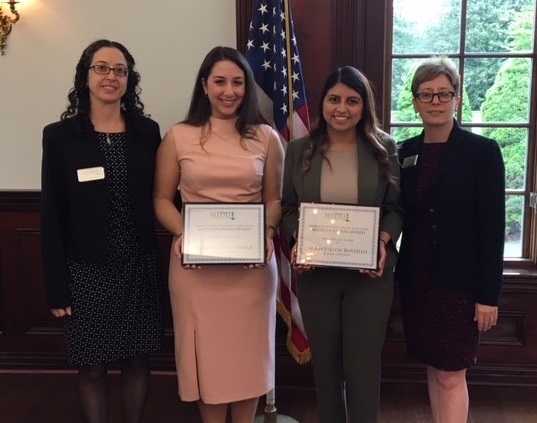 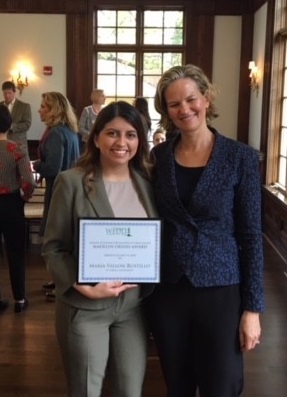 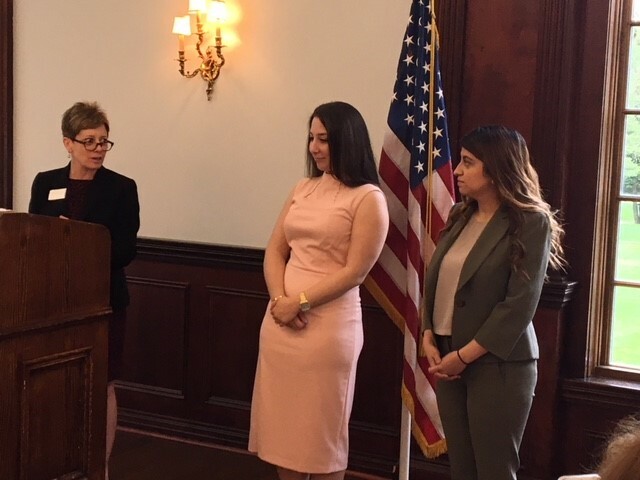 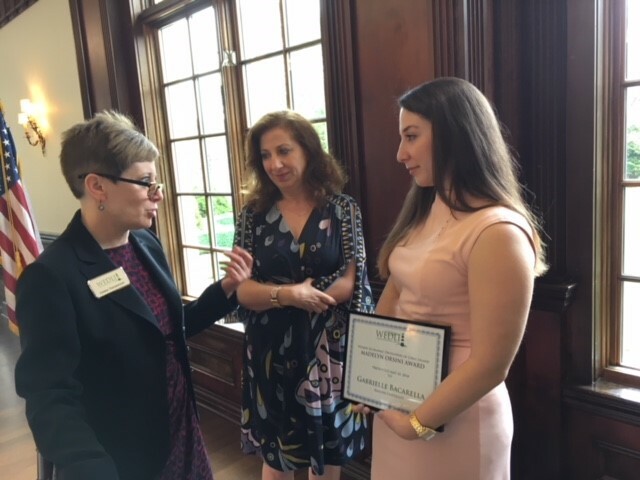 During the meeting, we also conferred the 2018 Madelyn Orsini Scholarship Award to two deserving college students — Maria Villon Bustillo and Gabrielle Bacarella. 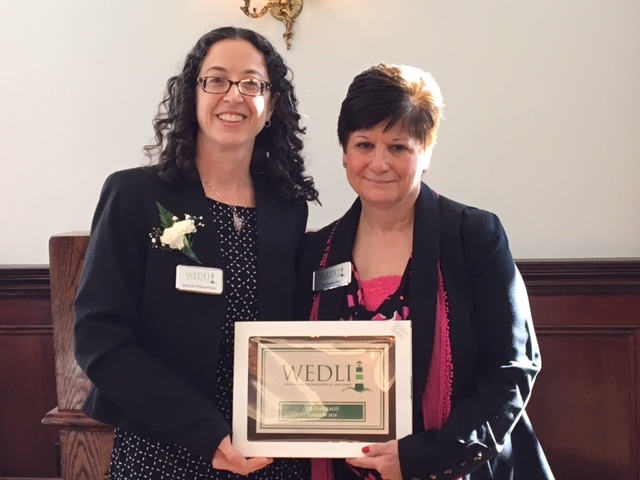 The awards were presented by WEDLI Vice President Debra Thompson. 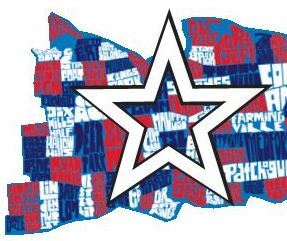 Thanks to our sponsor: Raich Ende Malter! 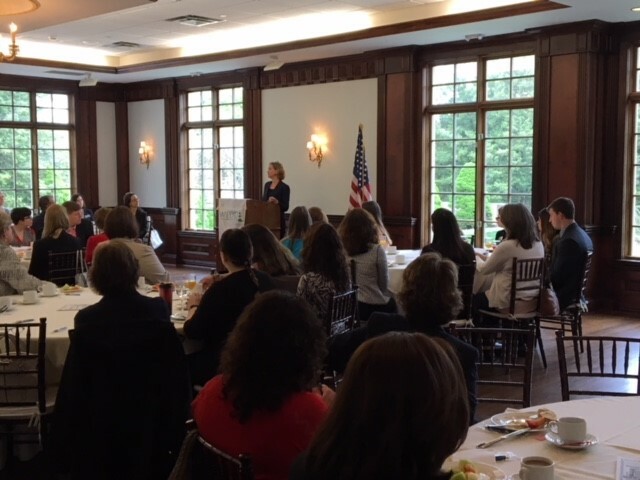 Read County Executive Curran’s press release about the event HERE. 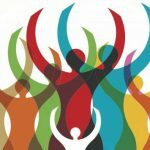 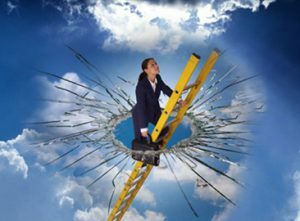 When a business is certified as a Women Business Enterprise (WBE), many benefits become available. 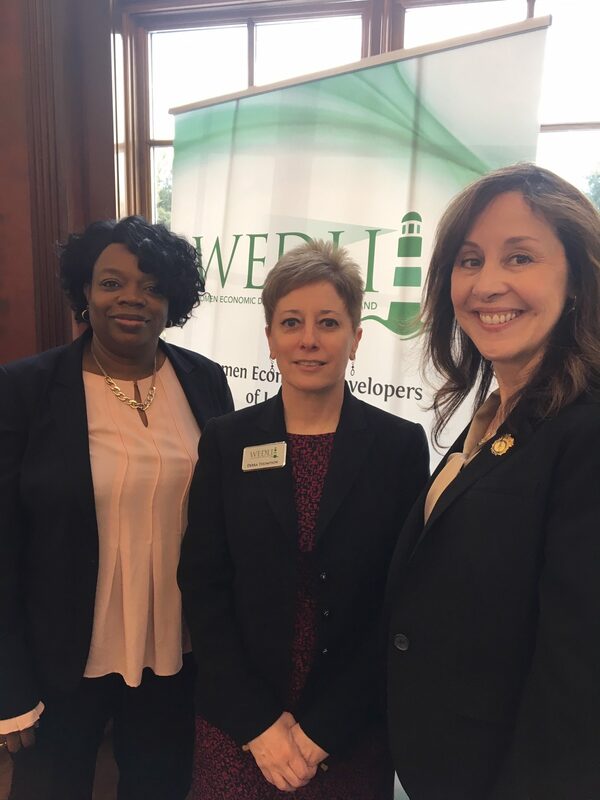 From governmental contracts to new business opportunities, if you’re not certified, you may be missing out on valuable opportunities to connect with potential clients who want (and need) to work with businesses like yours. 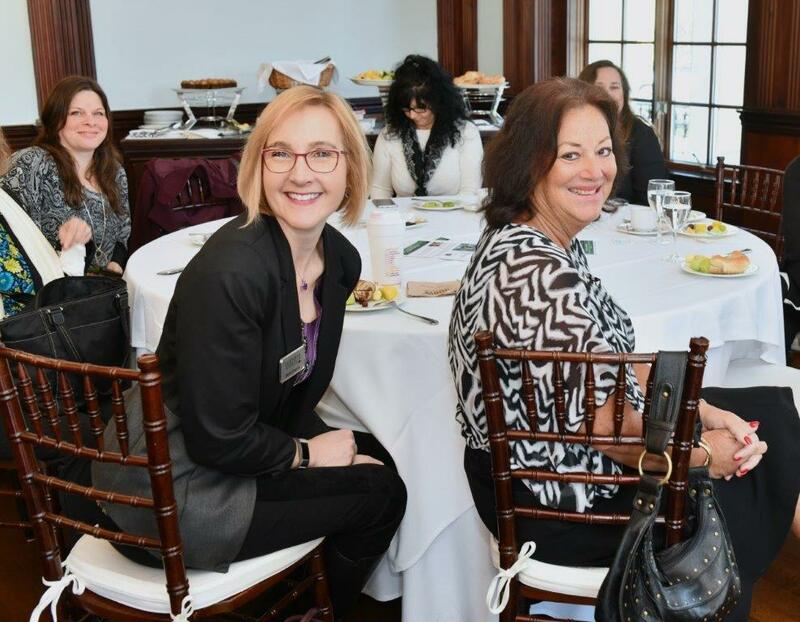 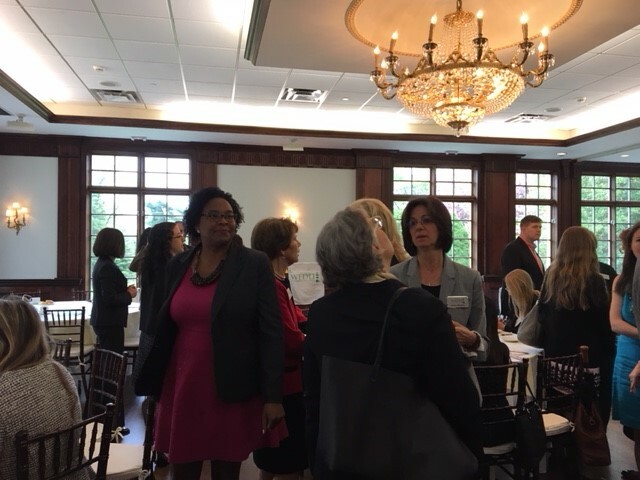 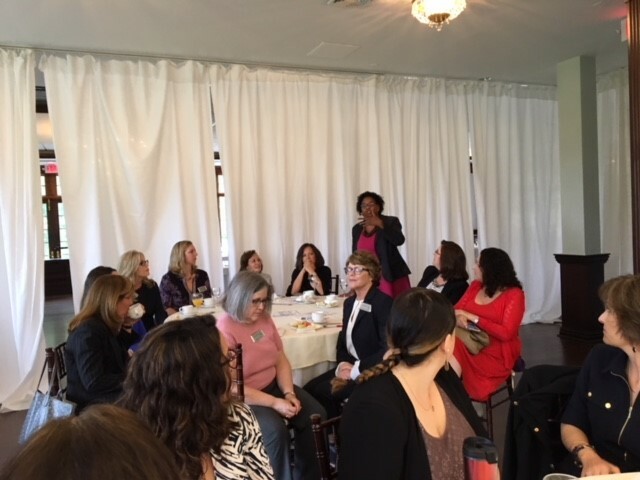 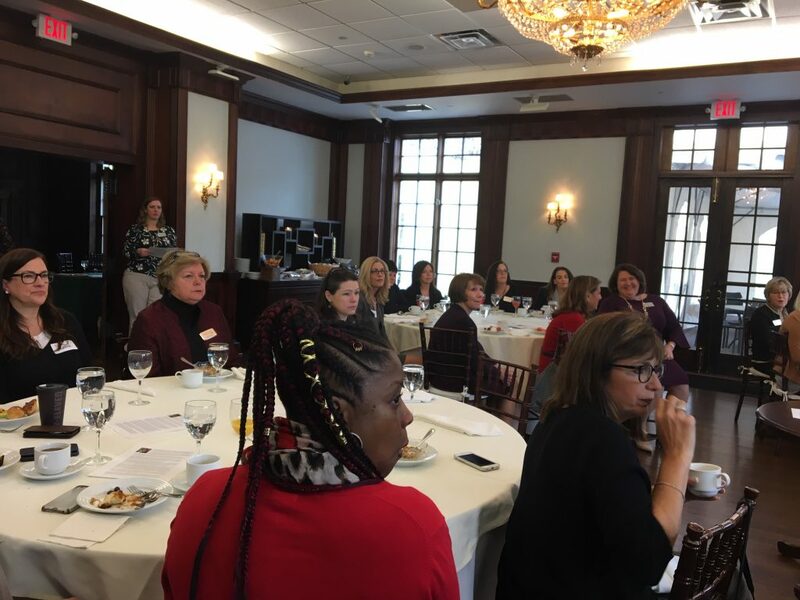 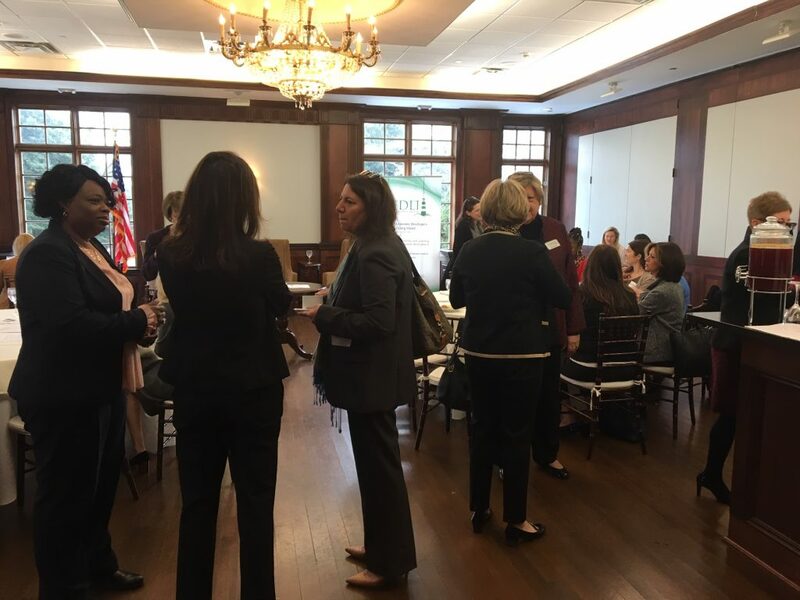 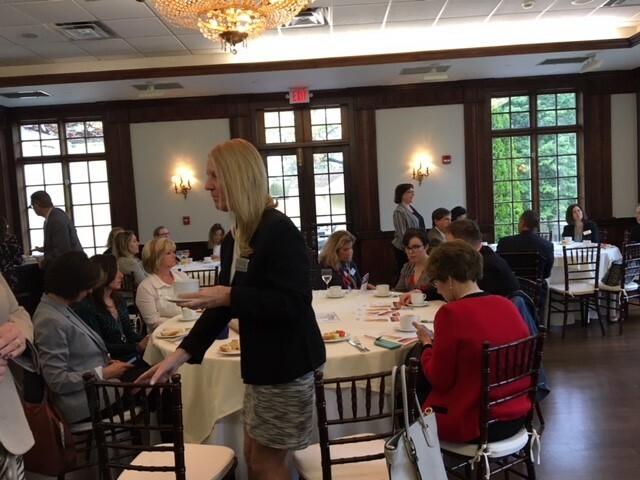 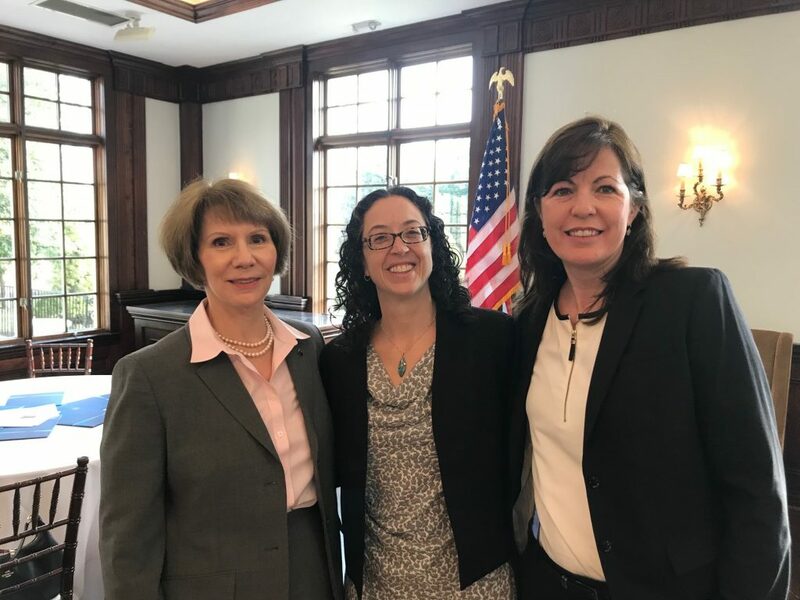 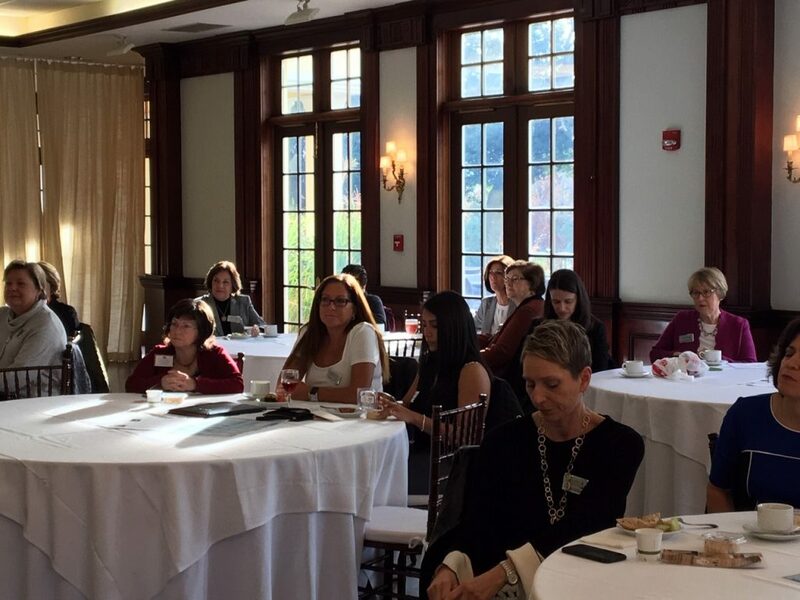 We heard the benefits of WBE certification, as well as its responsibilities and requirements from our speakers, Erica Chase‐Gregory of the Farmingdale Small Business Development Center, and one of her successful WBE owners, Kimberly DiLeo, founder of KIMCO, a Long Island mechanical construction company. 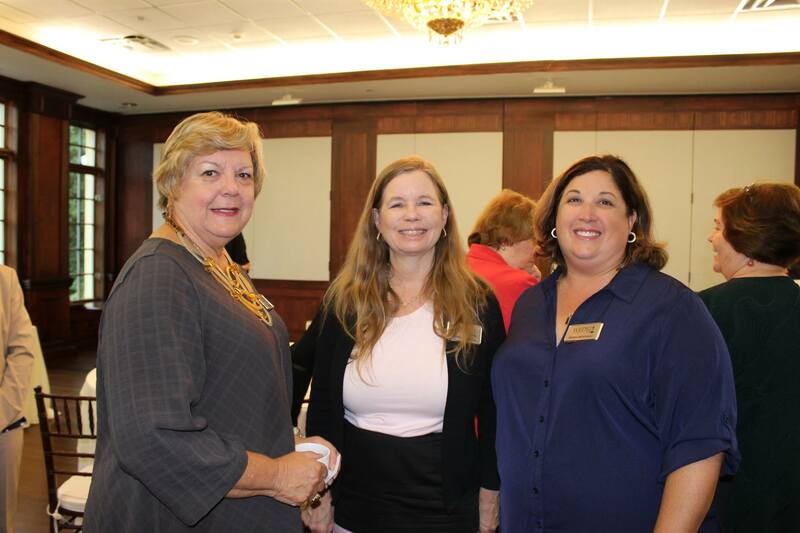 During the meeting, we welcomed new member Martha Stansbury! 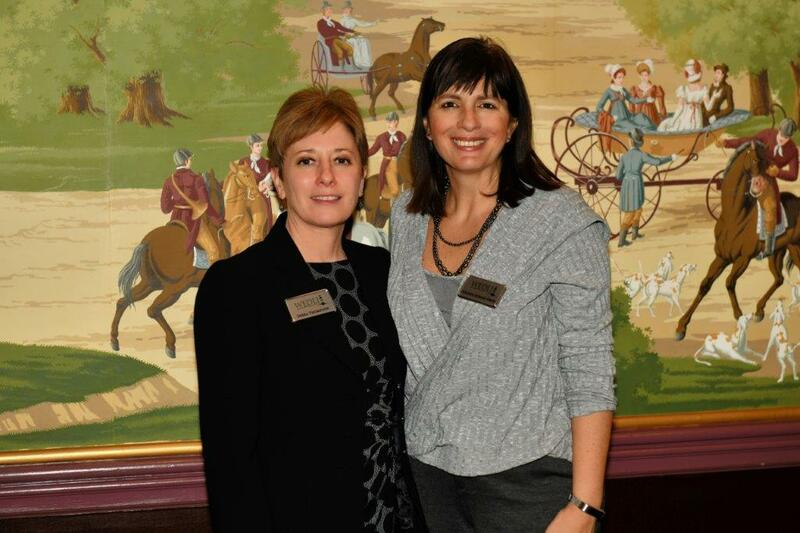 Thanks to our sponsor: Colliers International. 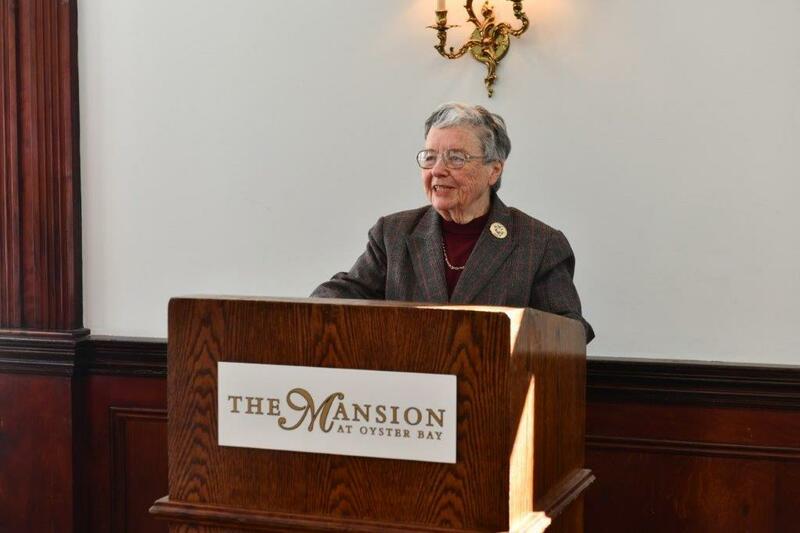 During Women’s History Month, on International Women’s Day, we welcomed author and retired Hofstra University history professor Natalie Naylor, who spoke about the authors and artists, scientists and suffragists, entrepreneurs and civic activists, pioneering pilots, and innumerable other women who have all left their mark on Long Island’s past. 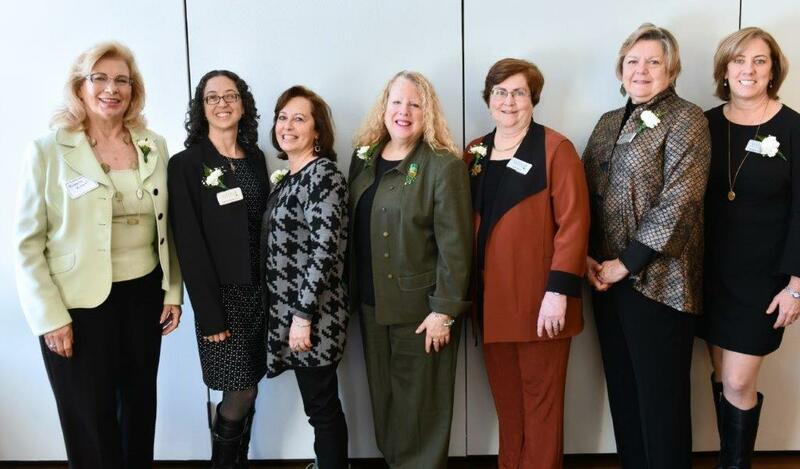 During the meeting, we welcomed new member Jo Haramis as well as six of WEDLI’s past (and present) presidents! 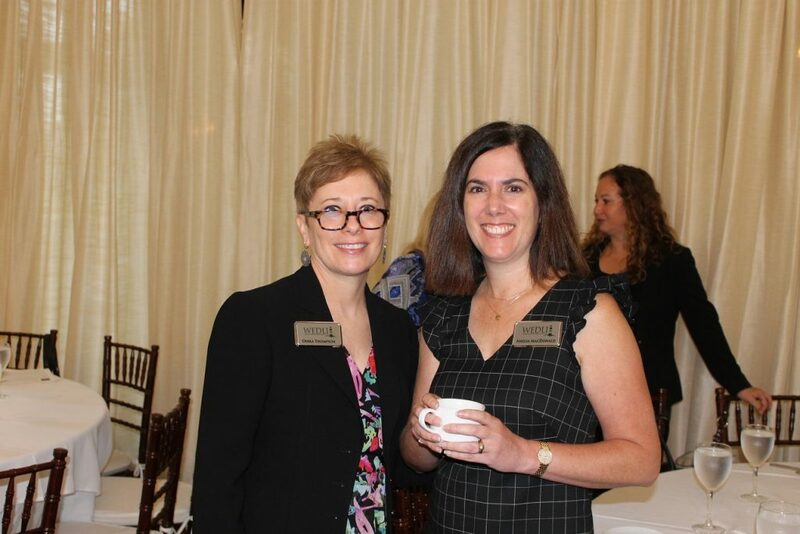 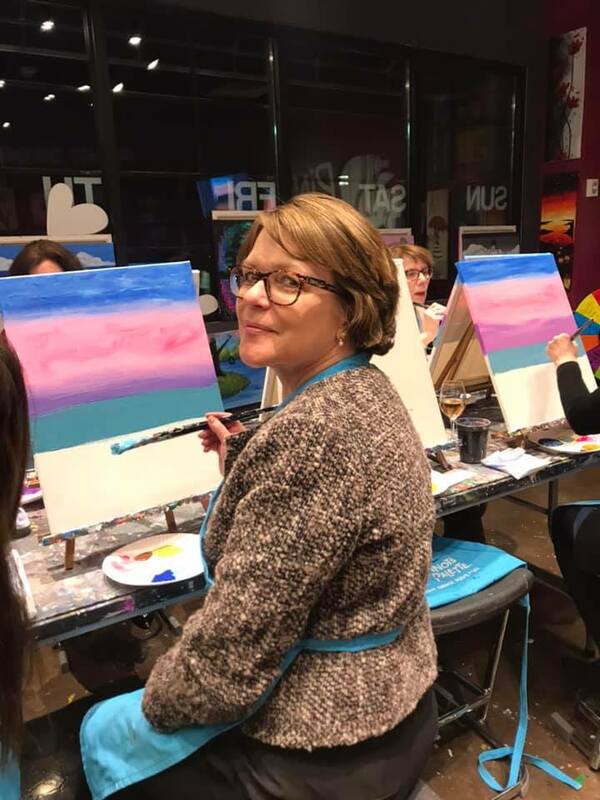 Thanks to our sponsor, Karen M. Dowd, Esq. 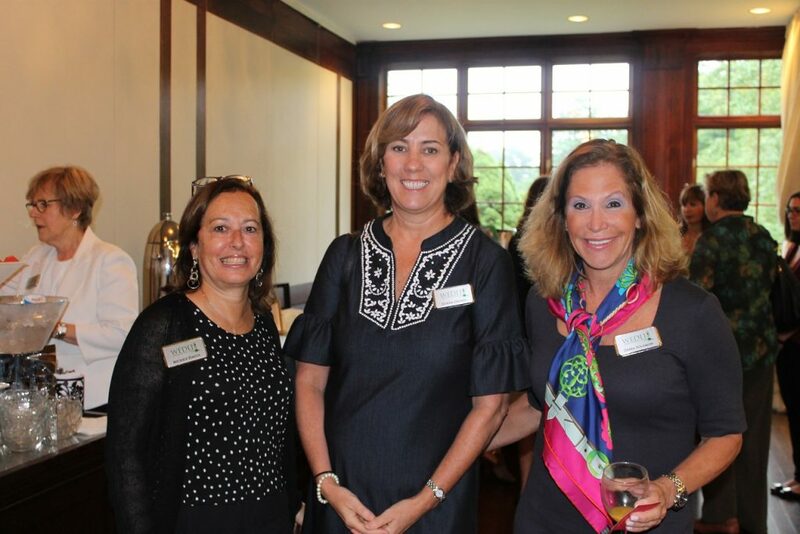 And thanks to our friend Tab Hauser for the pictures! 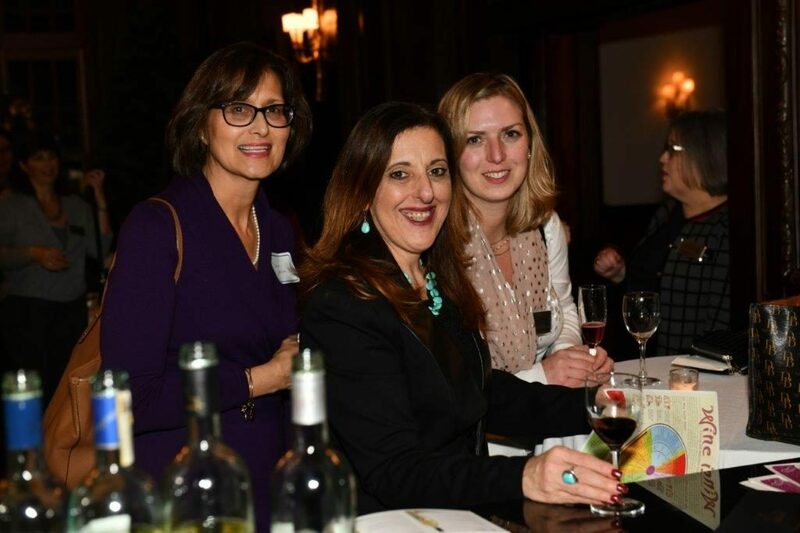 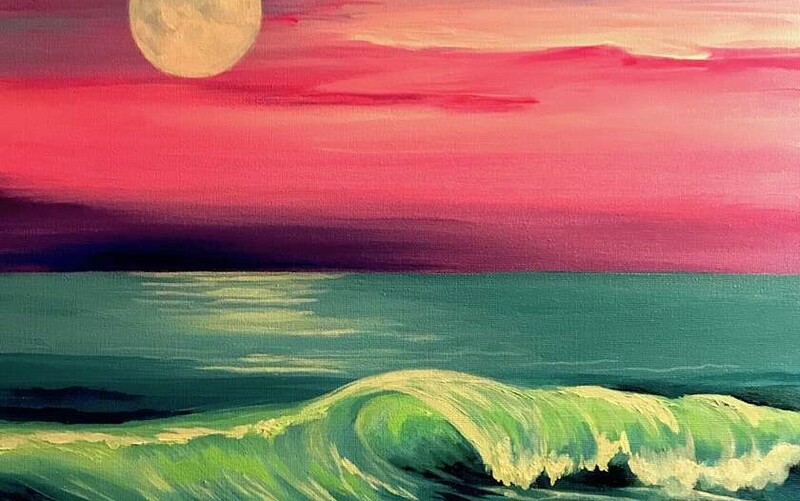 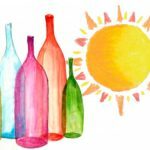 What better way to combat the winter doldrums than a WEDLI social event, combined with wine? 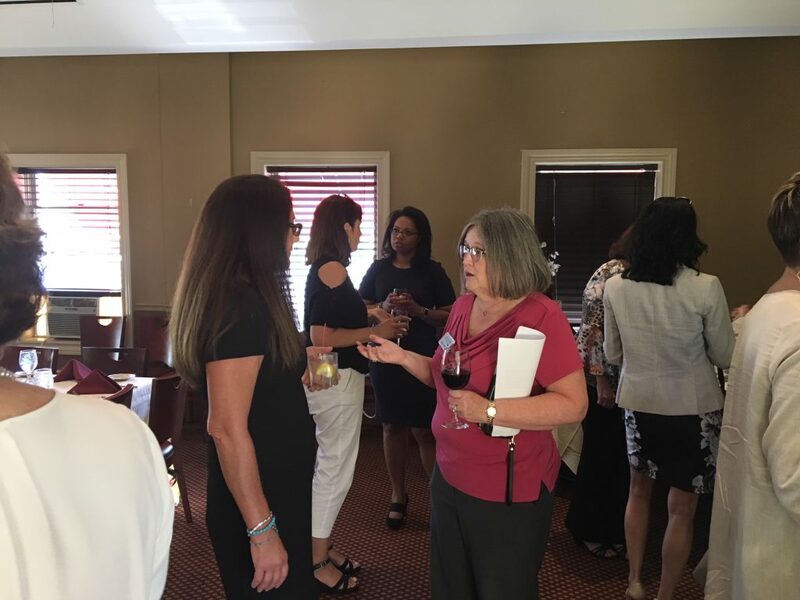 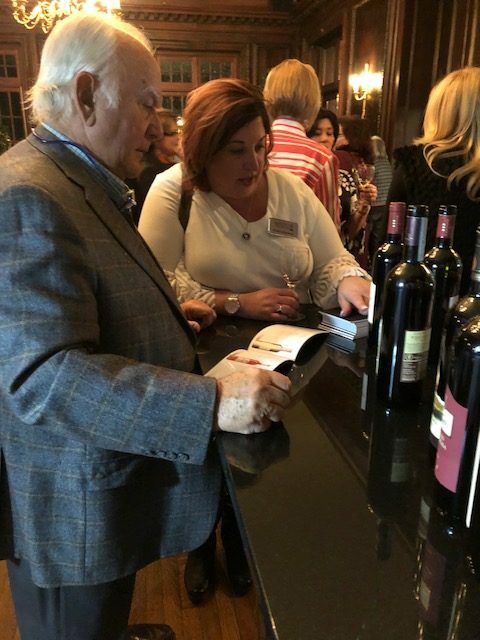 Our friends at Banfi led a presentation and wine tasting, followed by some valuable business networking. 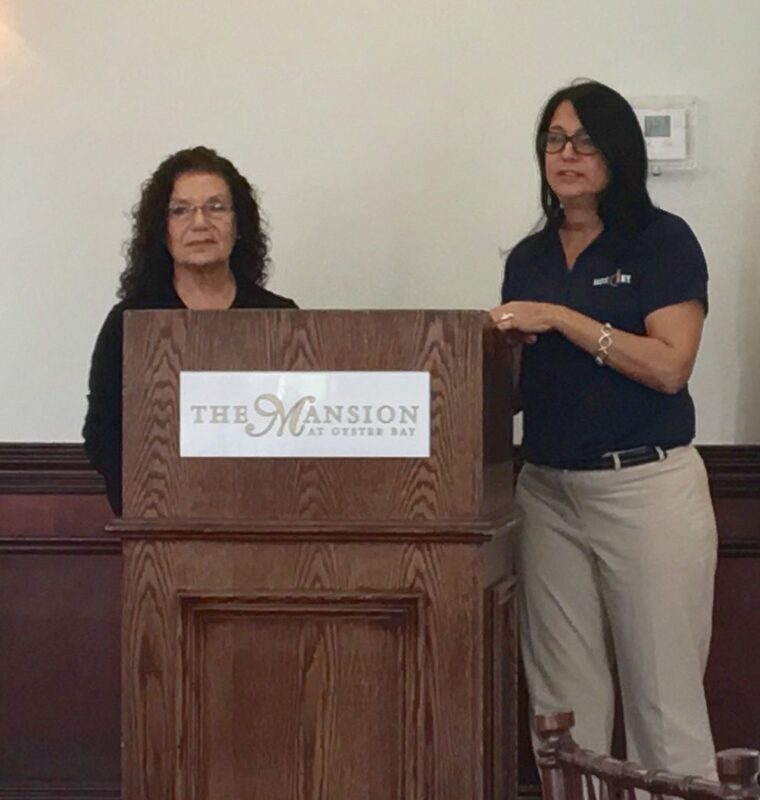 Thanks to our sponsor, Options for Community Living! 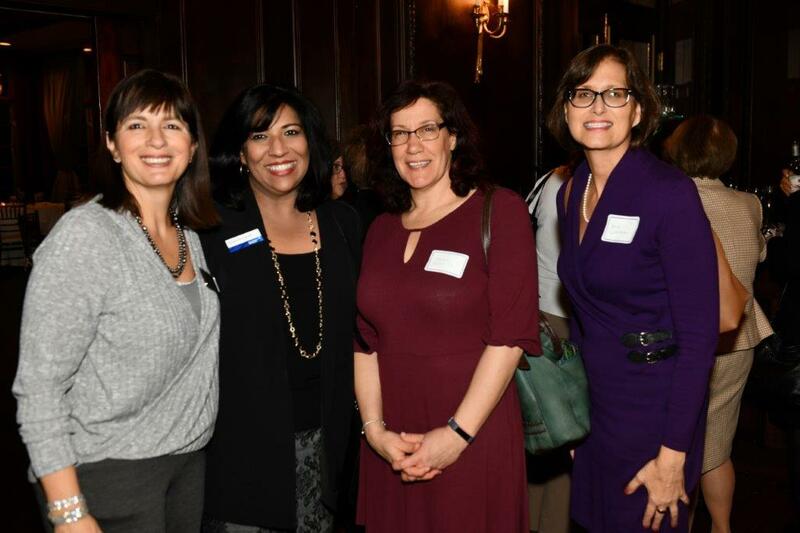 And thanks to our friend Tab Hauser for the pictures!